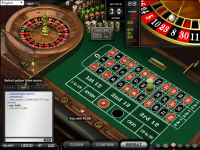 Vegas Crest Casino opened its doors in 2014 and offers its betting services to players in restricted betting areas such as the United States. 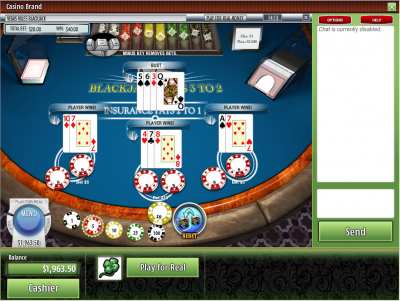 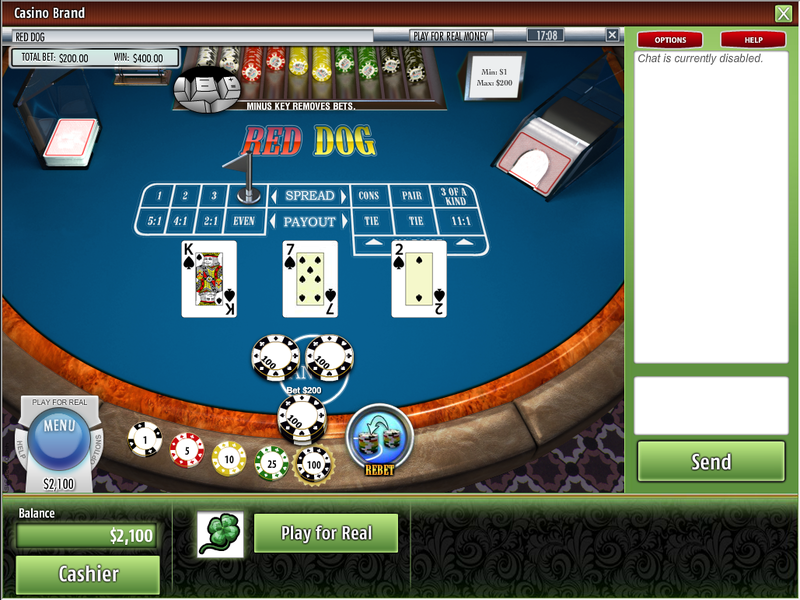 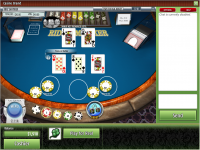 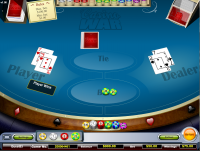 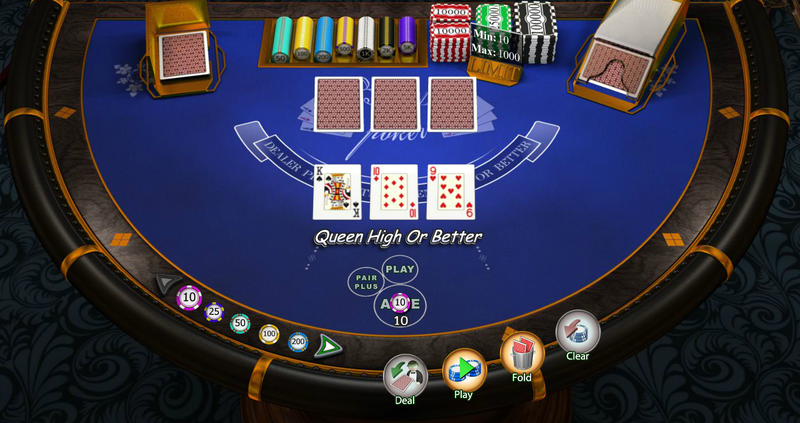 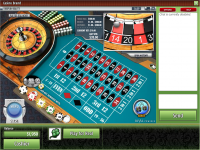 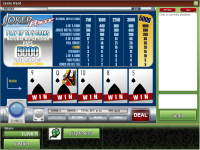 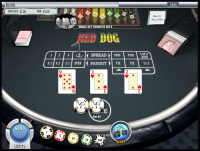 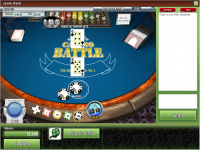 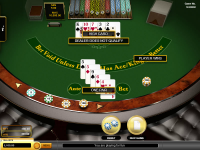 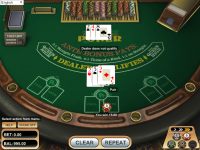 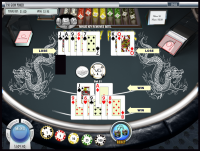 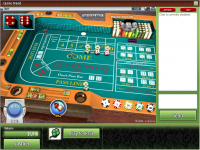 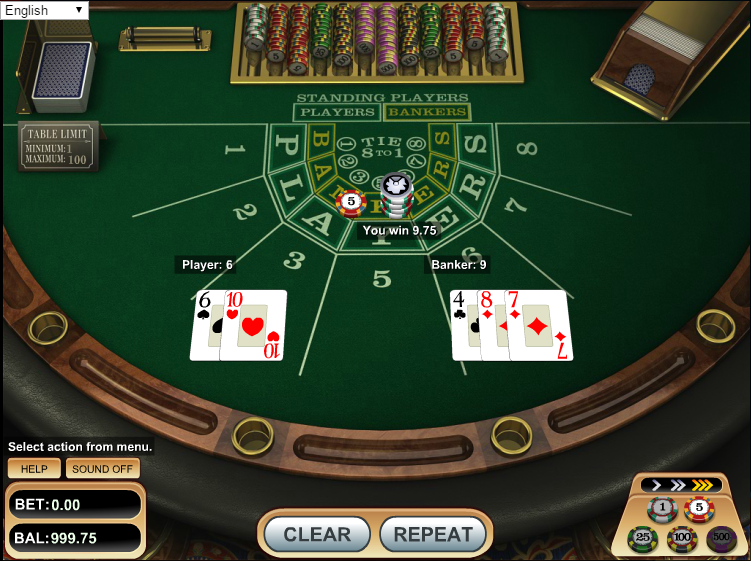 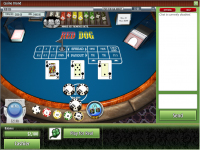 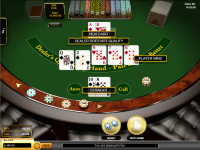 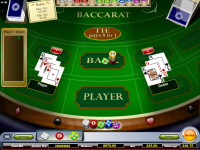 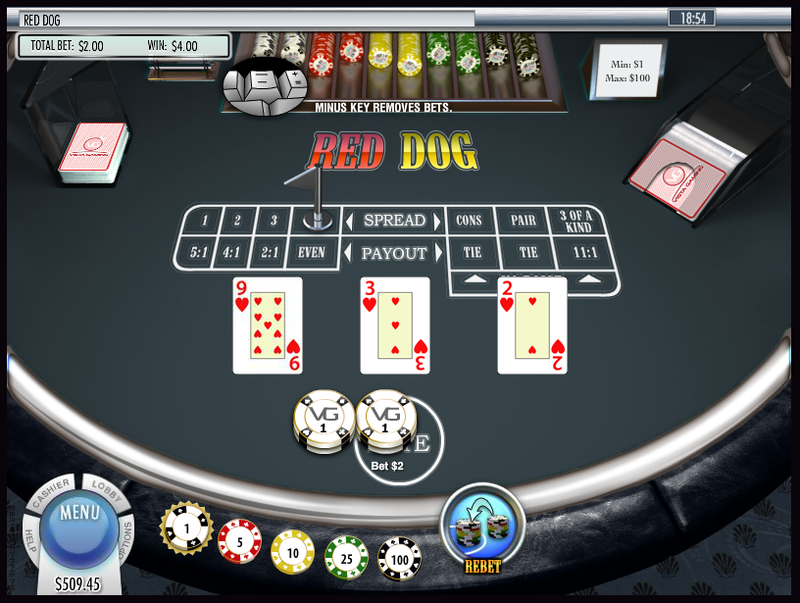 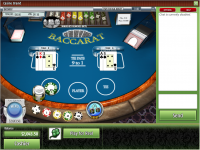 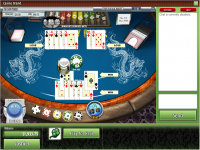 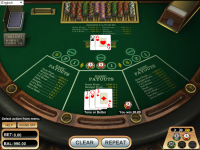 The casino is owned by Vista Gaming, and has been praised by players for its unique games, good customer support, and generally fast payment processing times. 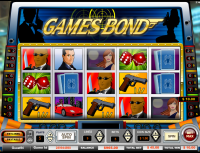 Our sister site Latest Casino Bonuses recently conducted an interview with a representative from Vista Gaming, which gives some information about the casino's groups. 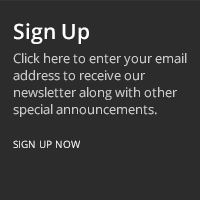 That interview can be read here. Vegas Crest Casino is powered by Rival, Vista Gaming, Saucify, Betsoft, Habanero Systems, Booming Games, Endorphina, GameArt, Mobilots, Concept Gaming and Xplosive Slots, which brings about a different lot of games from what many American players experience on a regular basis. 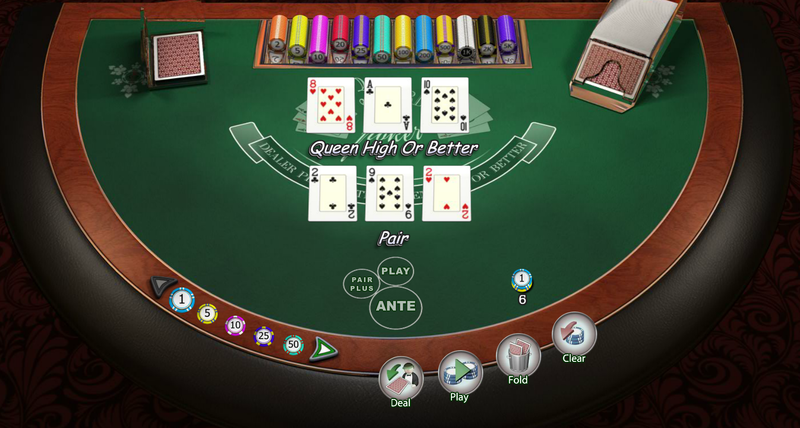 These games are distributed through the Vista Gaming platform, which is accessible through the web browser on your PC or mobile device. 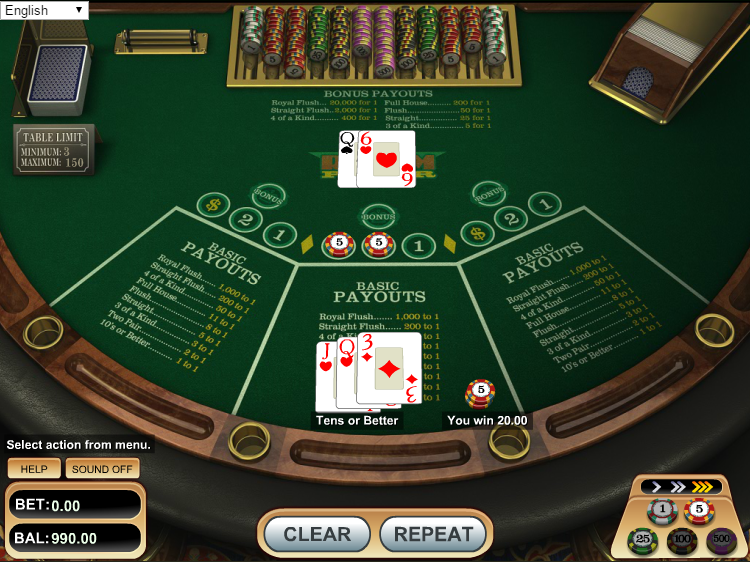 Customer support is available 24 hours a day, 7 days a week, and the Vegas Crest management team promises response times within 30 minutes. 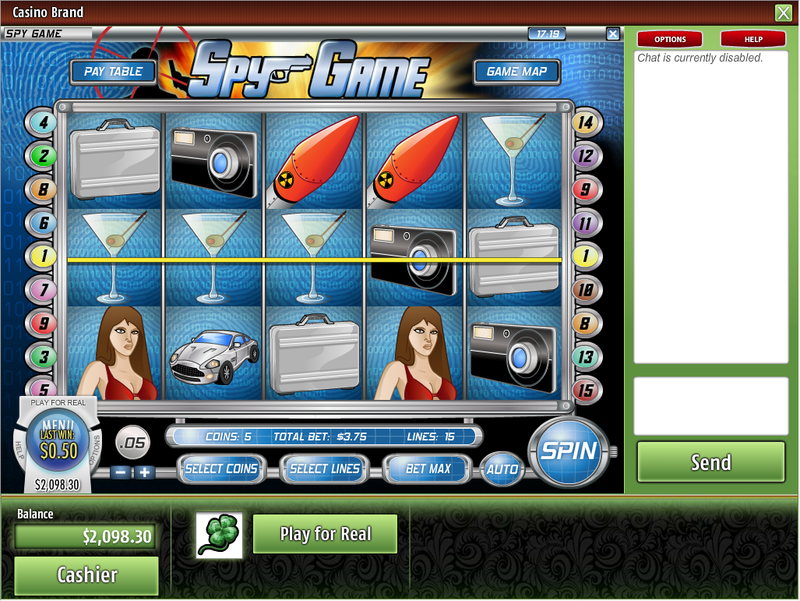 The staff is available through email and live chat, and I found the response times to be impressive. Vegas Crest Casino has 128-bit SSL encryption technology, which allows users to have their data scrambled as its sent between their computer and the casino’s servers. 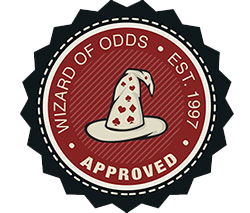 Looking through the terms and conditions at Vegas Crest Casino, I cannot find anything that stands out as being unfair or predatory toward players. 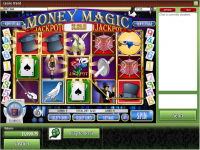 The banking system at Vegas Crest is decent, with the casino accepting transactions through wire transfer, Maestro, MasterCard, Skrill, Neteller, Paysafecard, Visa, and ecoPayz. 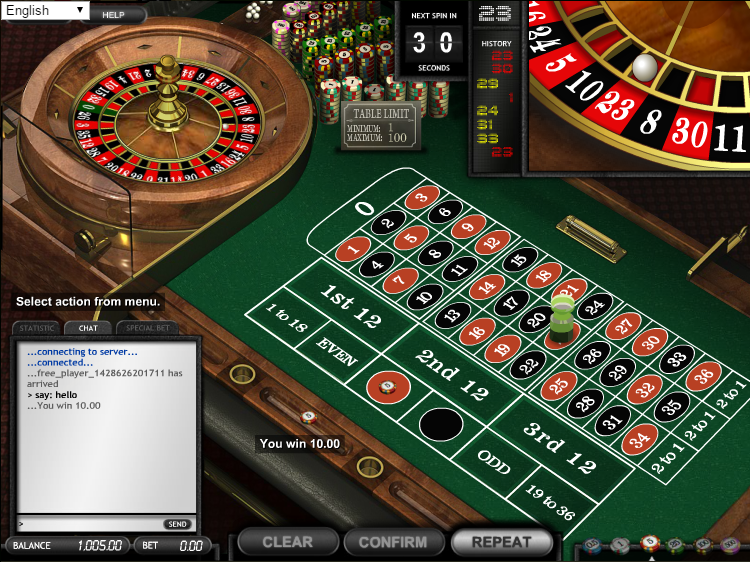 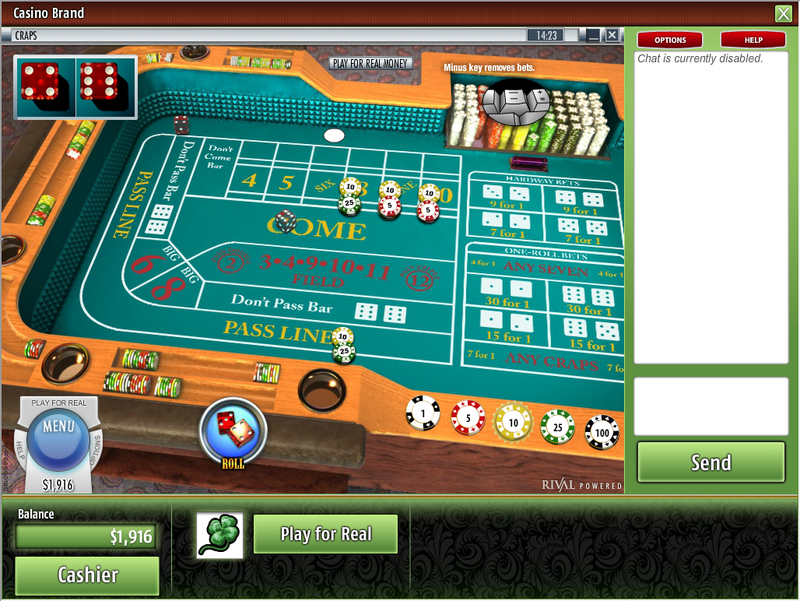 The casino does have a pending time of 2-3 business days, and payouts are processed within 3-7 business days thereafter. 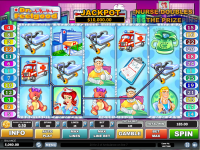 Payouts over $3,000 are paid out in installments, meaning that progressive jackpots can take a while to be paid. 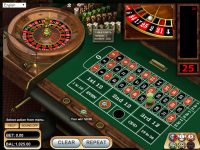 Vegas Crest Casino has been up and running since 2014 and doing a nice job judging by the LCB User Score of 4.1 out of 5 on average. 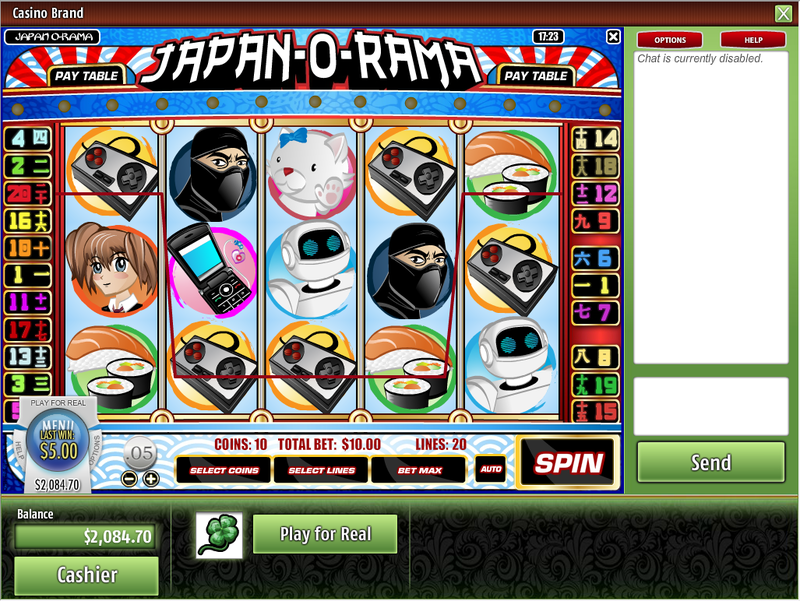 I don’t know how much of that has to do with ease of low rollers being able to cash out winnings, though. 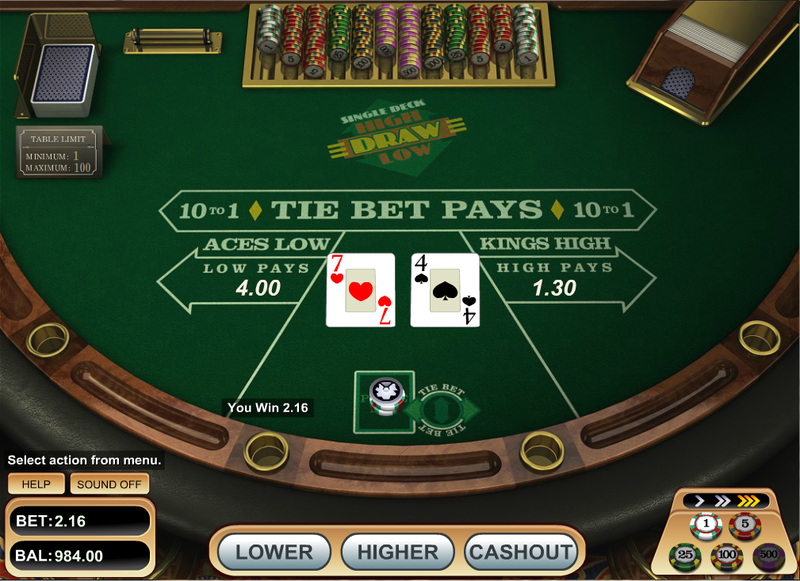 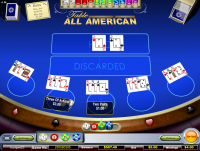 While almost anyone can play considering the low deposits of $10, Vegas Crest Casino low rollers may be somewhat put off by the fact that they have to run that up to a $100 balance in order to cash out, or 10x the deposit amount. Again, $100 minimum withdrawal is the threshold that will keep this casino from auto-failing, but they shouldn’t be willing to accept $10 if they’re not willing to pay until the balance is $100. 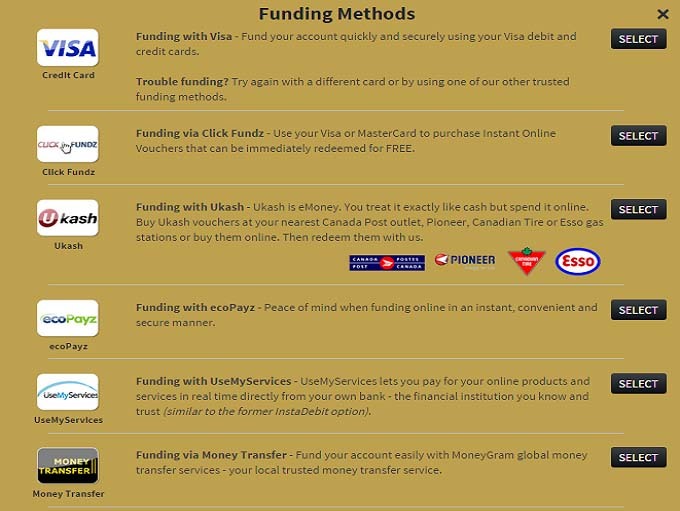 In the meantime, it will take 48-72 hours for the withdrawal to be approved, and then a player can expect to wait no further for an E-Wallet, 3-5 business days for a credit or debit card and 5-7 business days for a wire transfer. 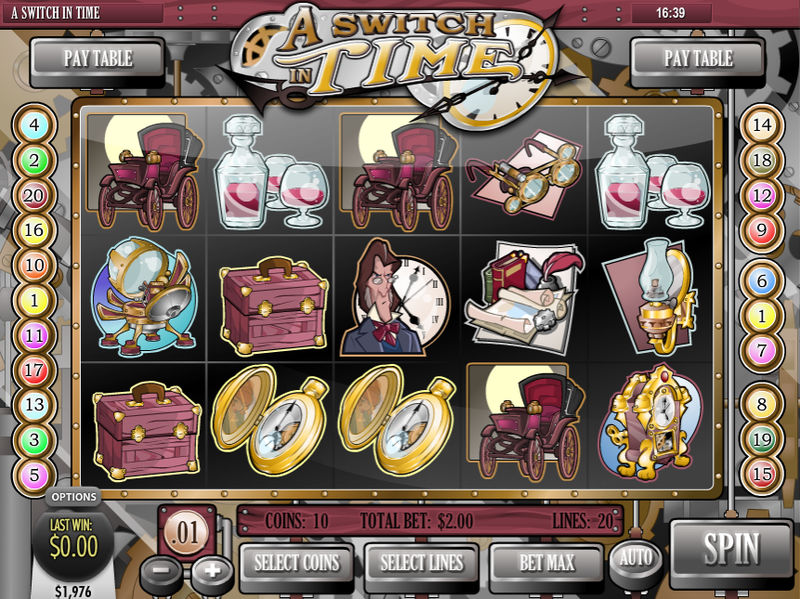 The overall wait time of no more than two weeks for a wire transfer is a bit on the low end. 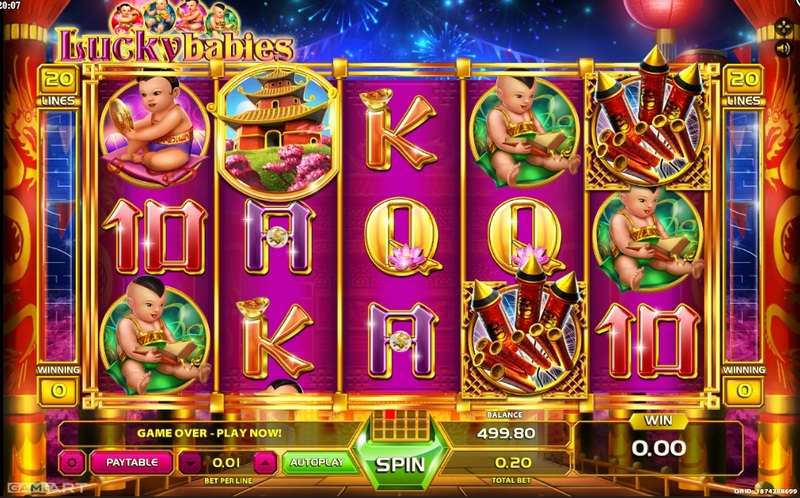 High rollers may not be satisfied with the fact that, while they can technically request a withdrawal of whatever they want, it will be paid in installments of $3,000 until paid off. 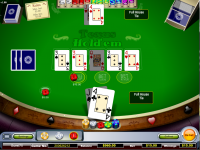 Given 5-7 business days for a wire transfer, if you want to go that route, then you might be looking at anywhere from 70-80 days until the full amount is paid with a bankroll of 20k. 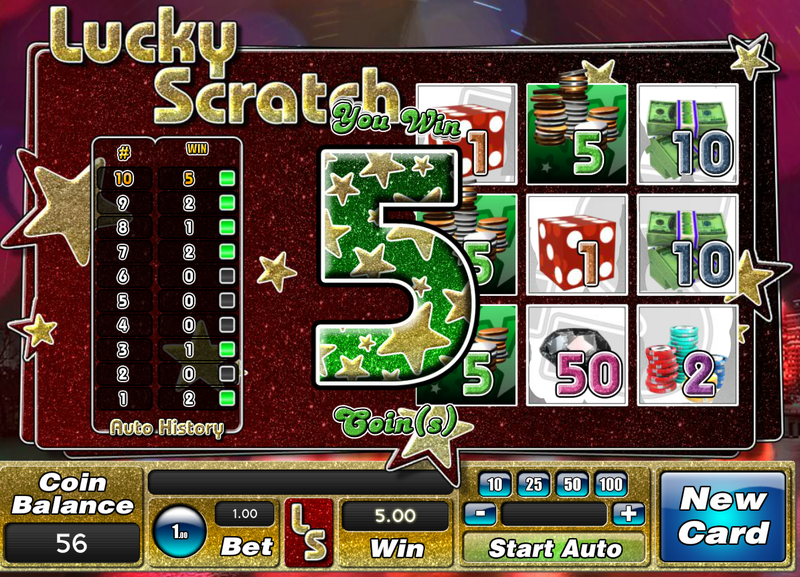 That’s actually pretty good, under three months, anyway. 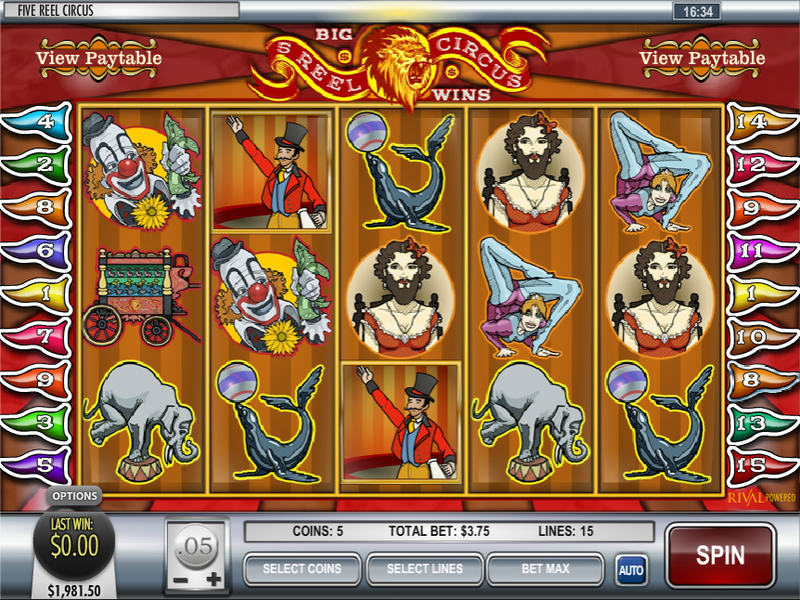 Slots are the largest portion of Vegas Crest Casino's library with more than 250 slots in the casino's library. 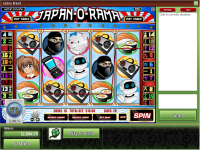 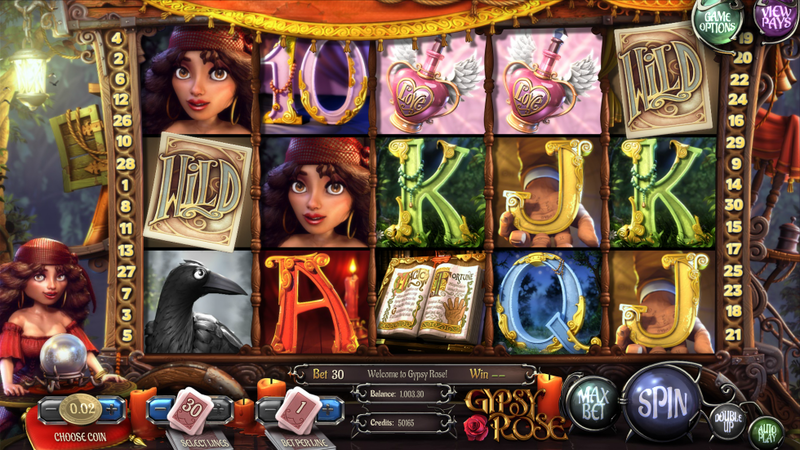 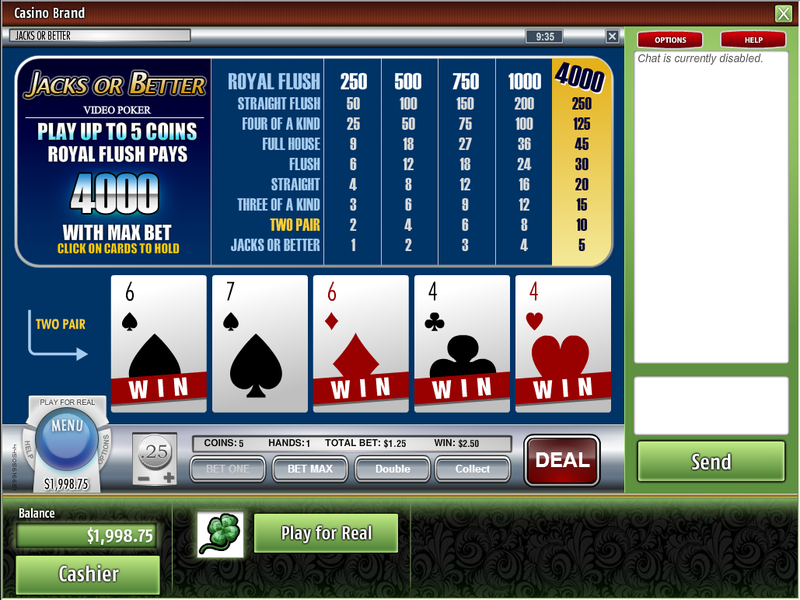 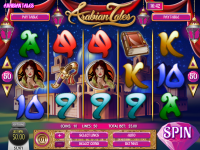 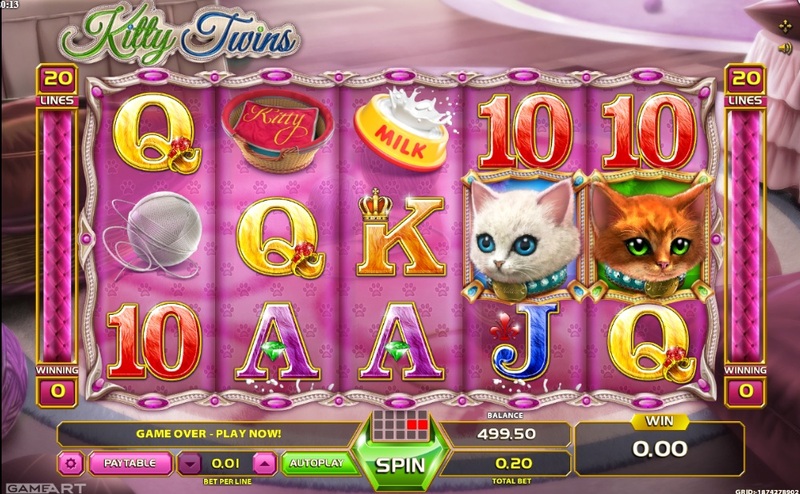 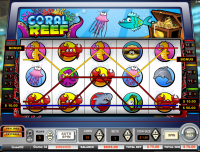 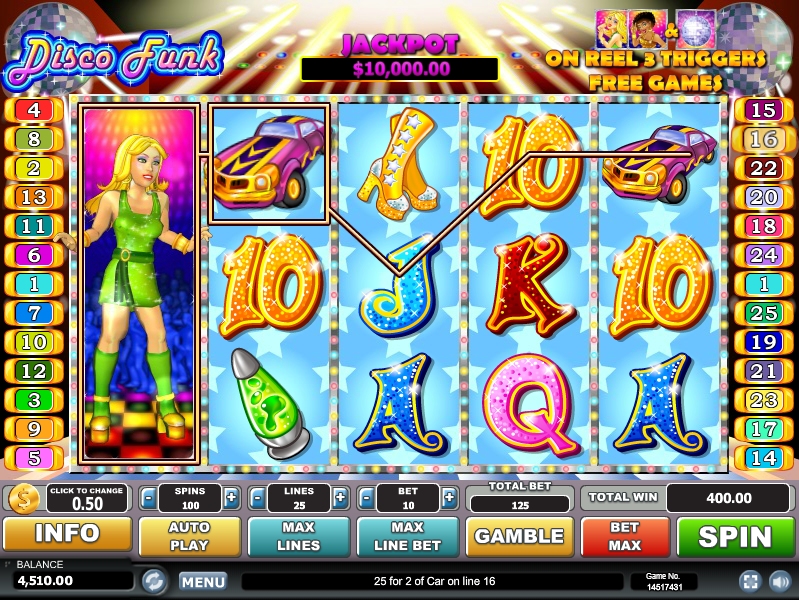 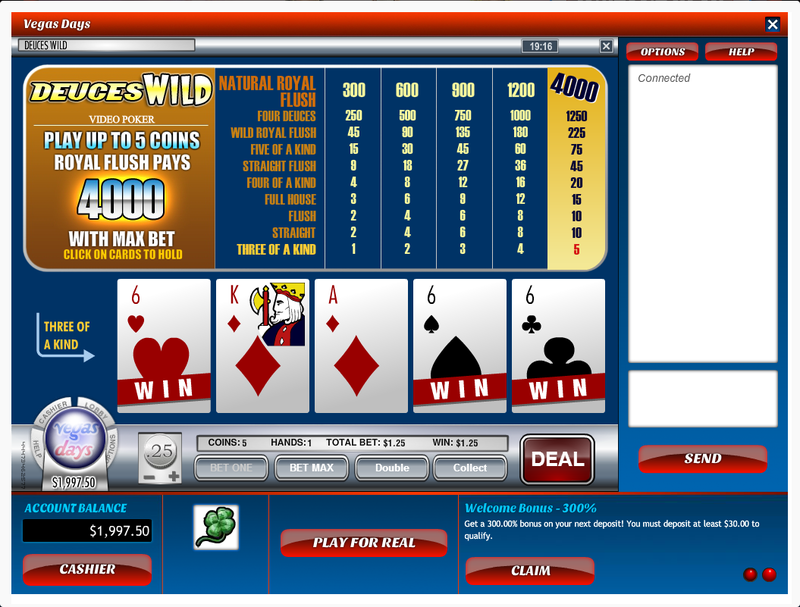 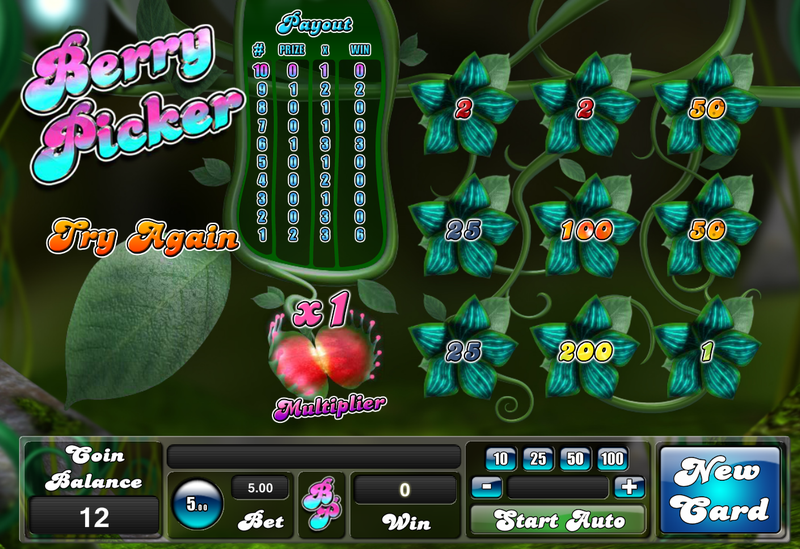 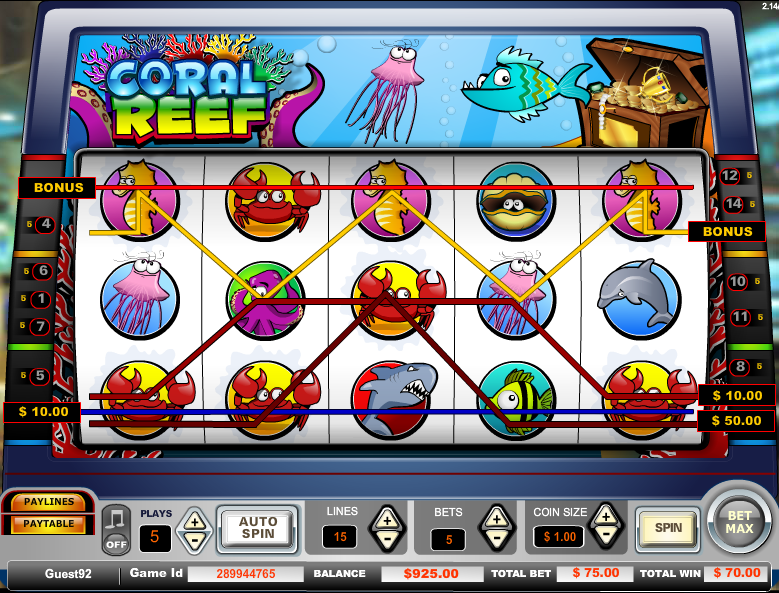 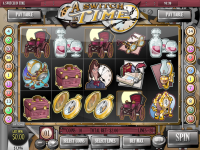 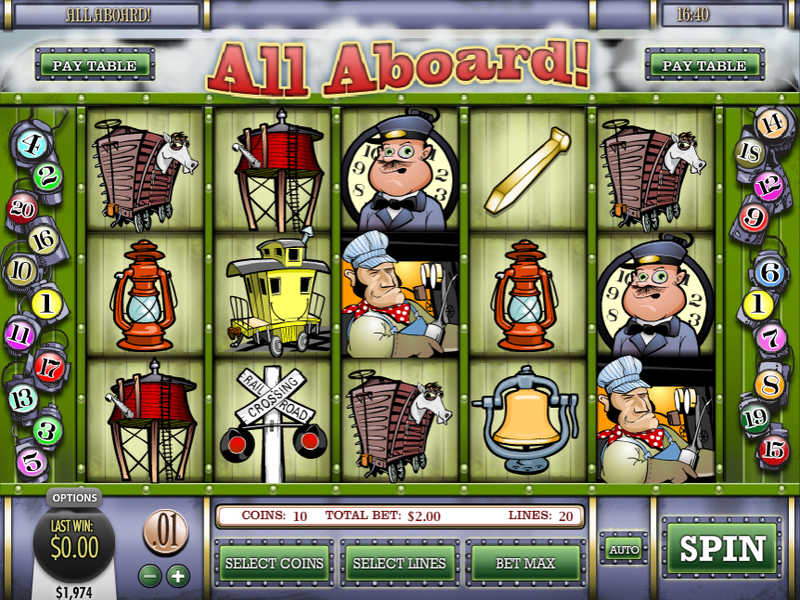 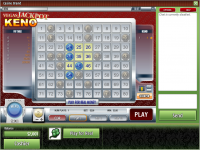 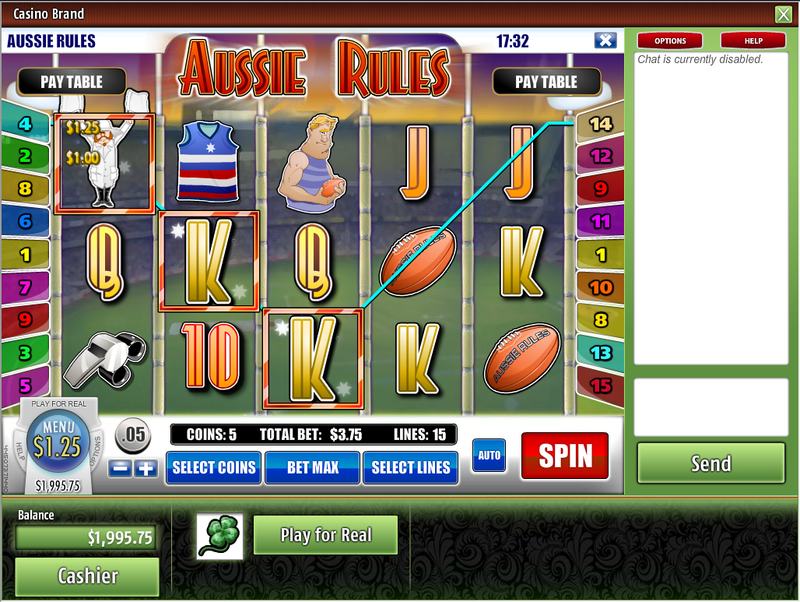 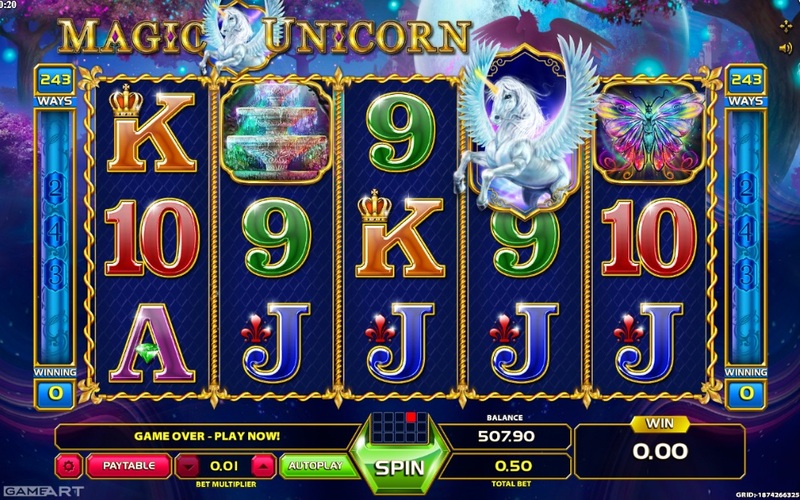 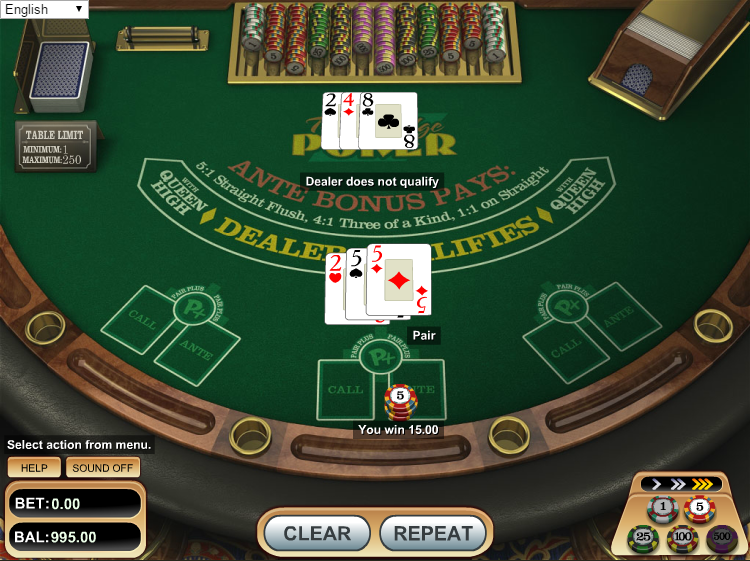 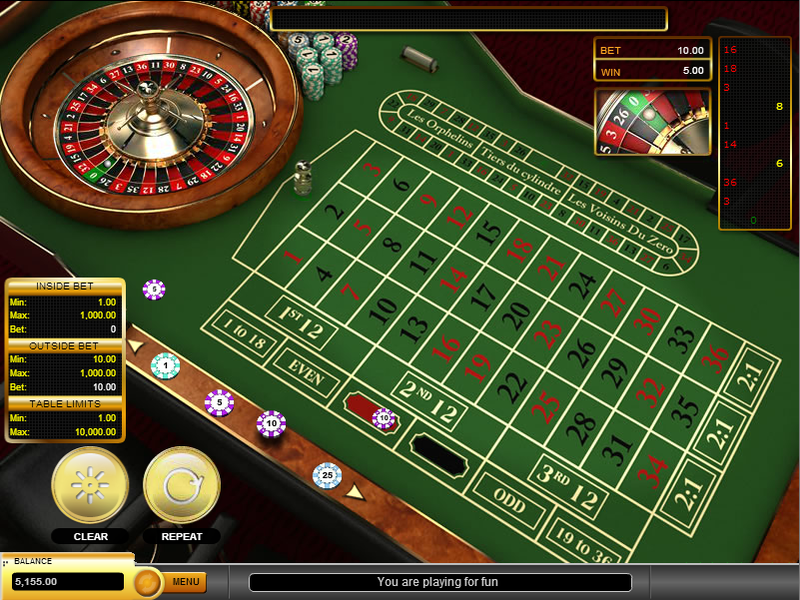 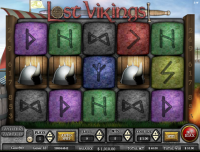 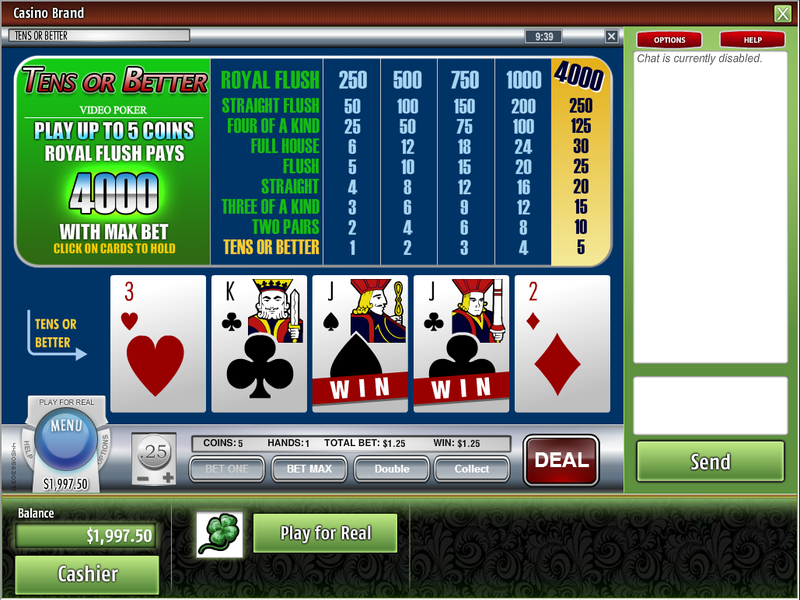 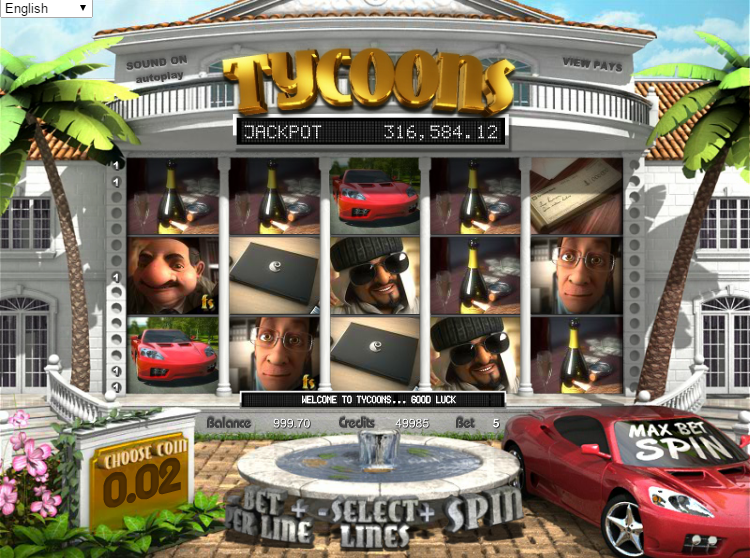 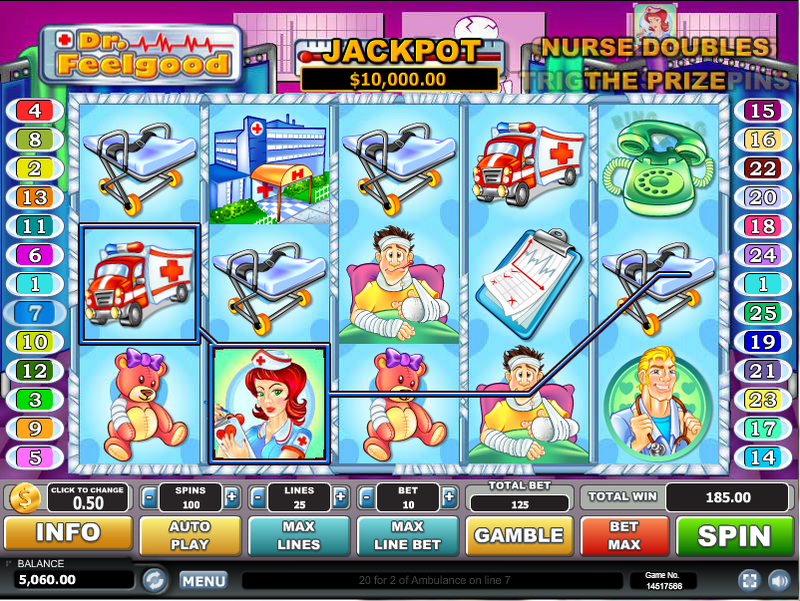 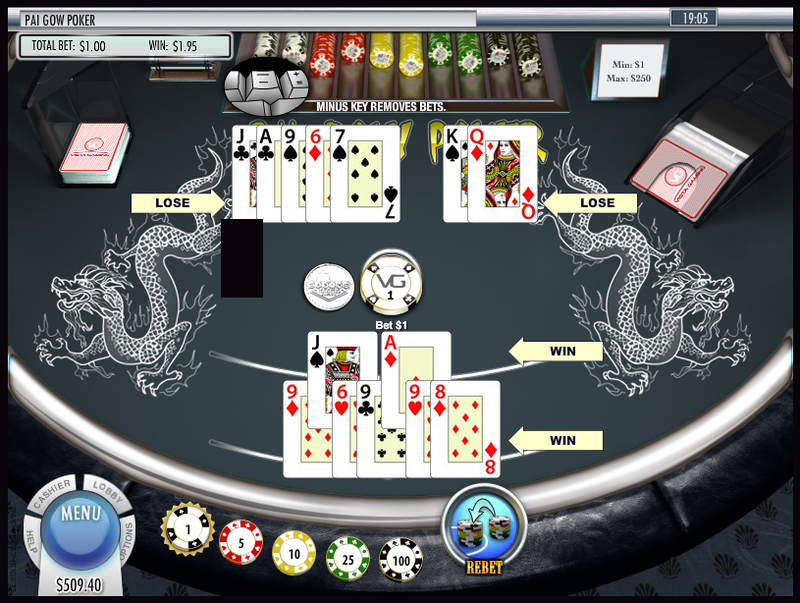 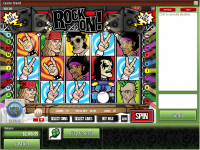 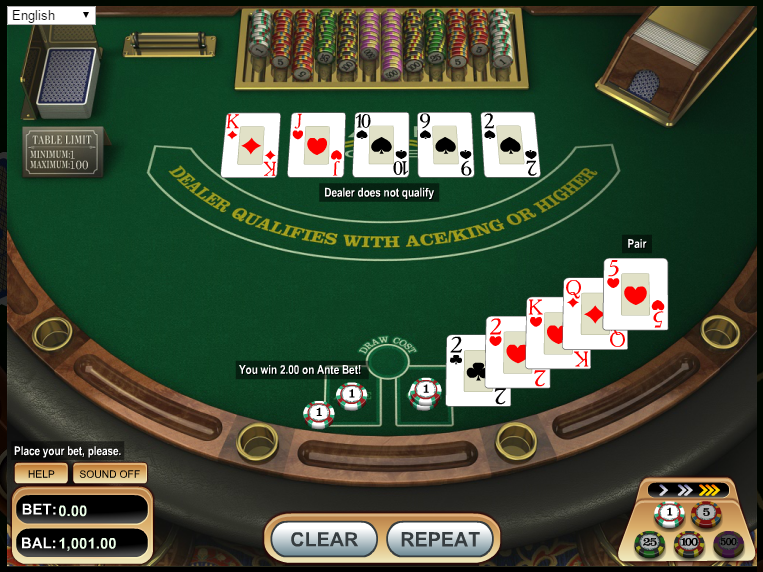 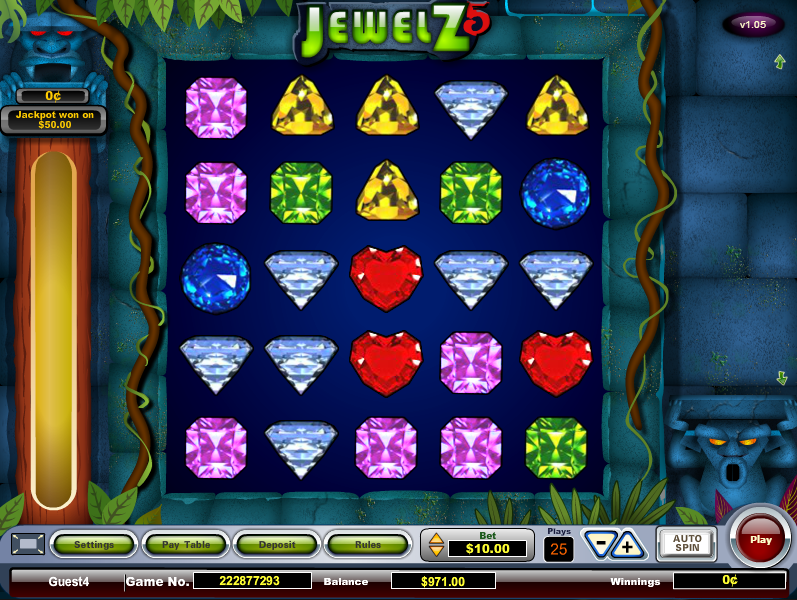 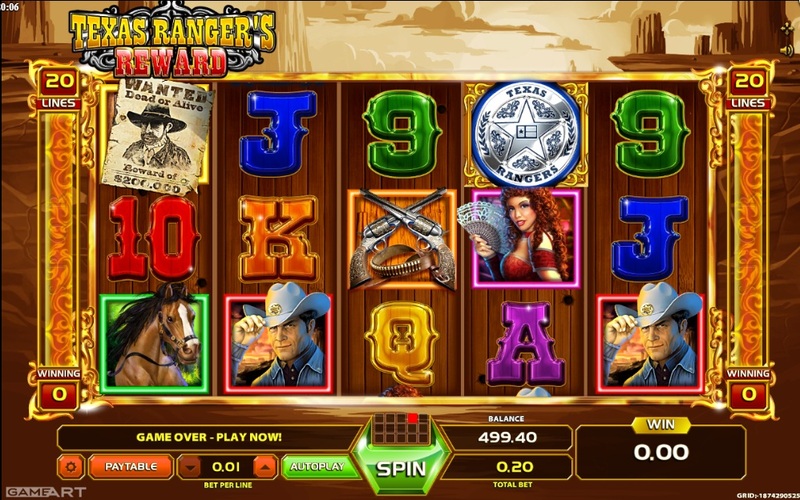 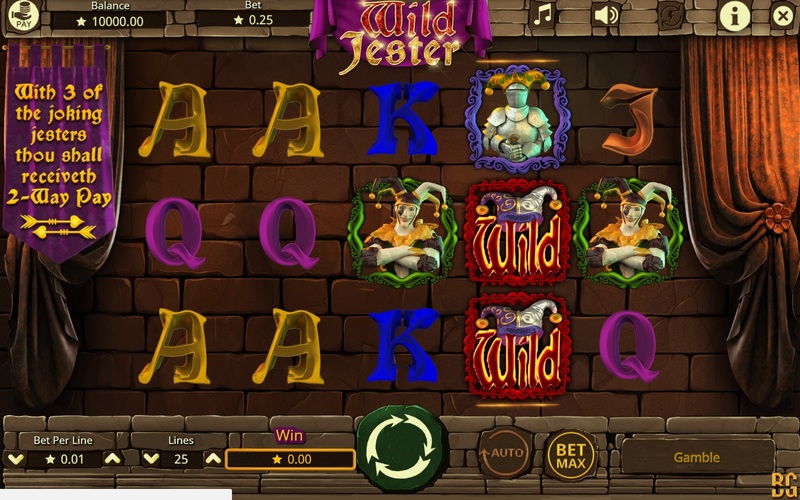 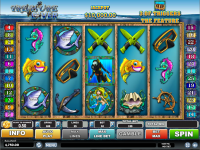 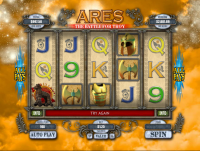 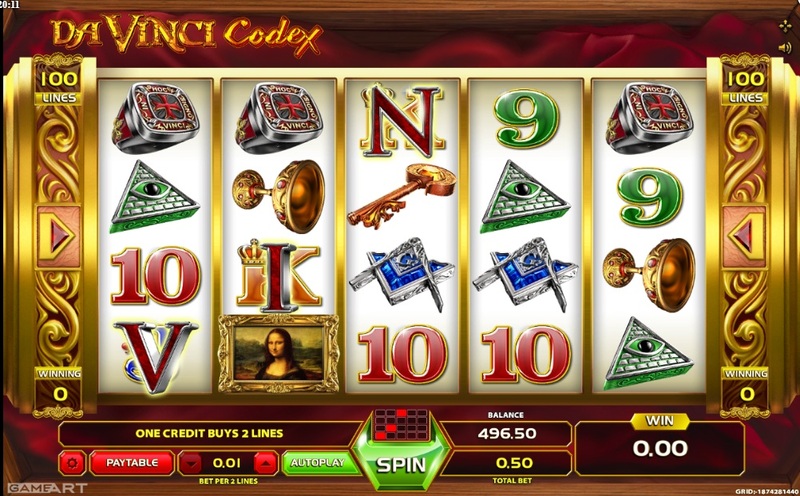 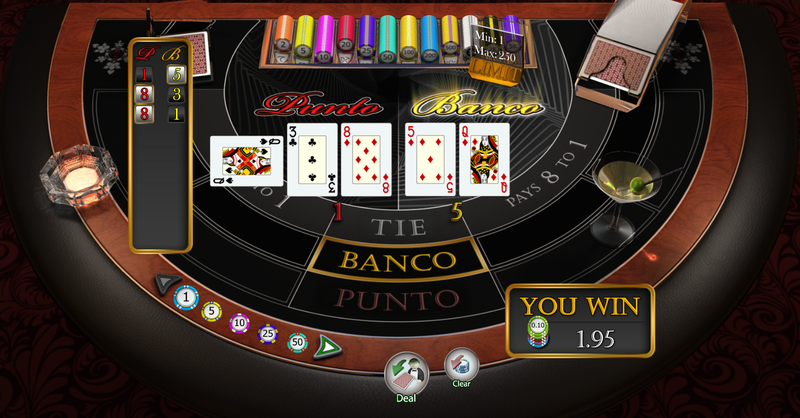 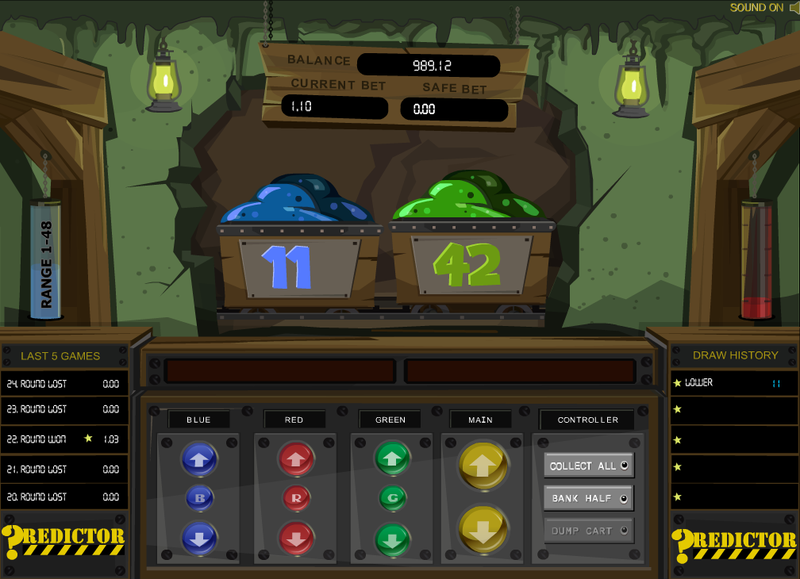 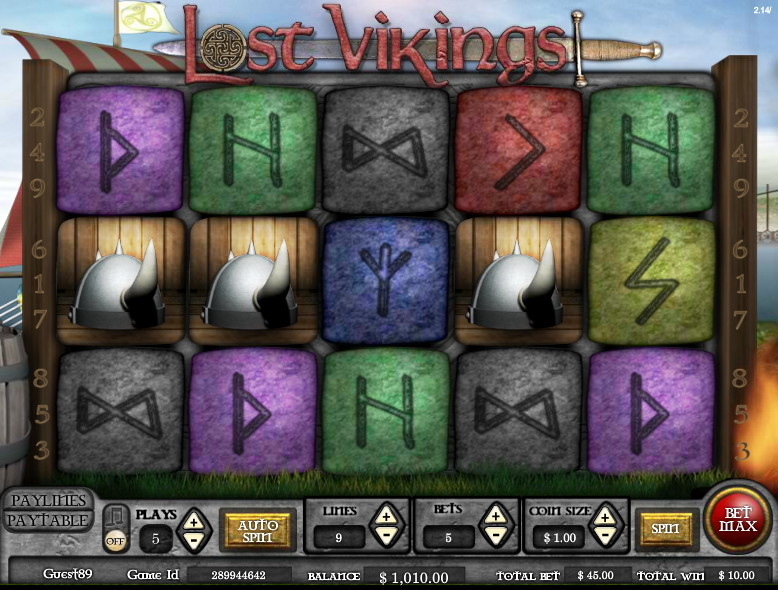 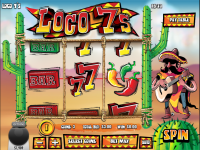 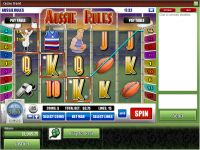 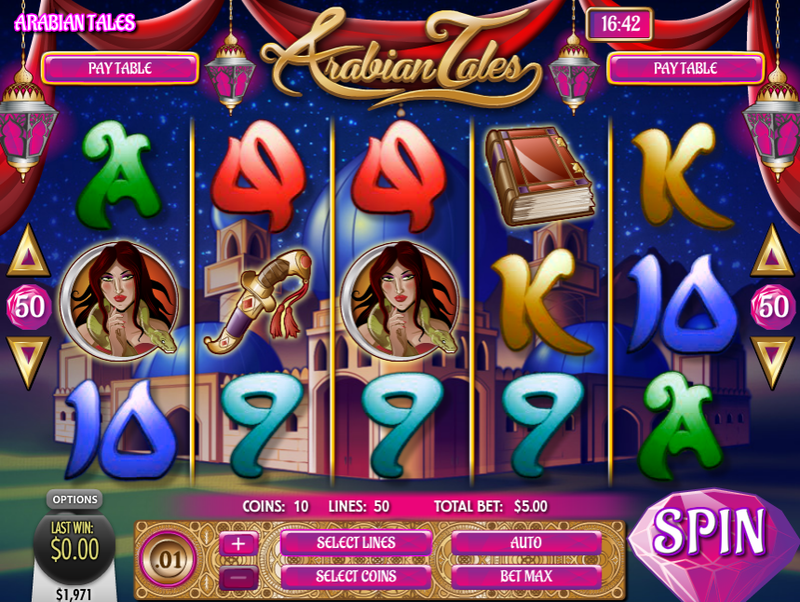 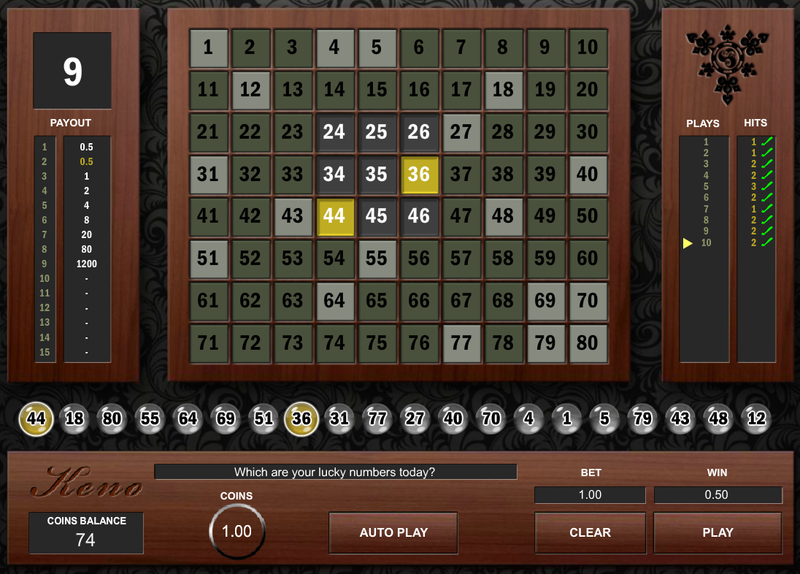 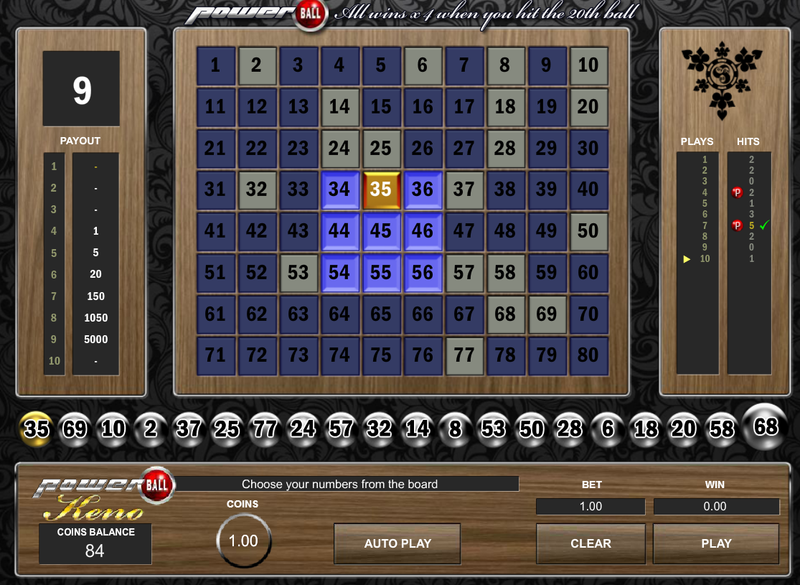 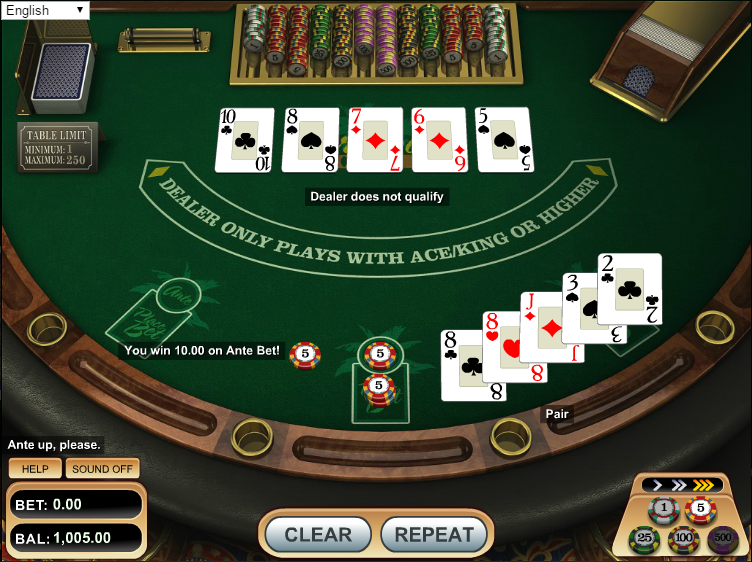 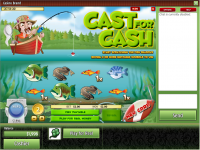 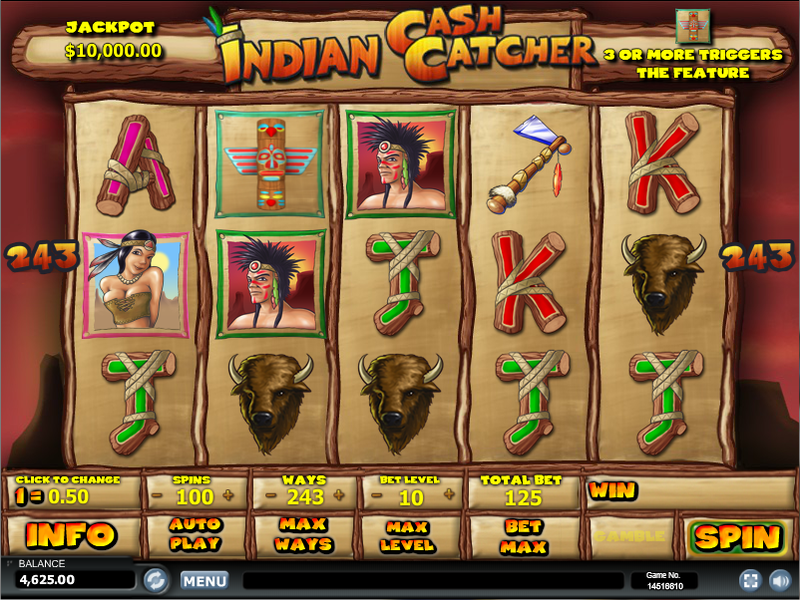 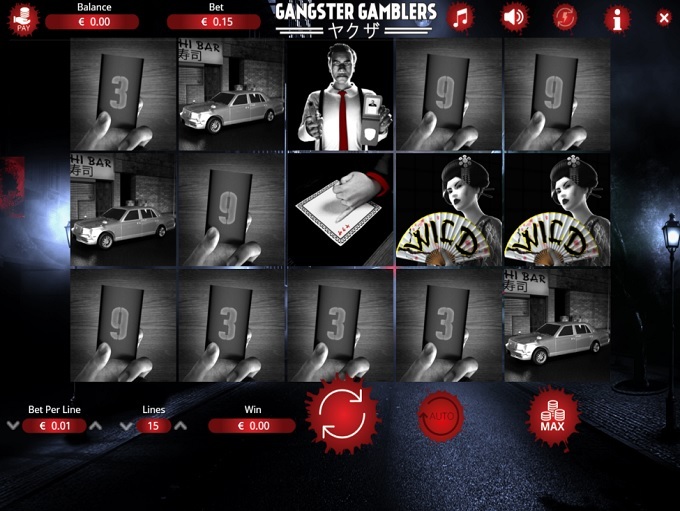 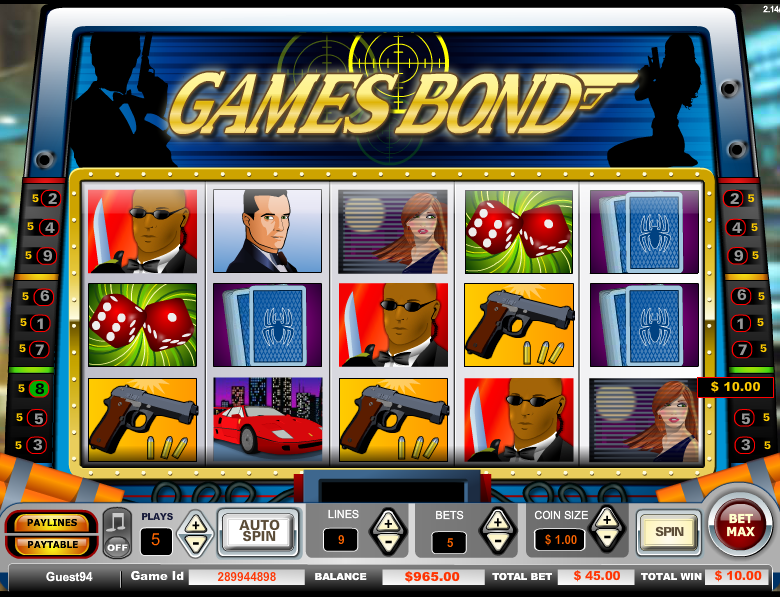 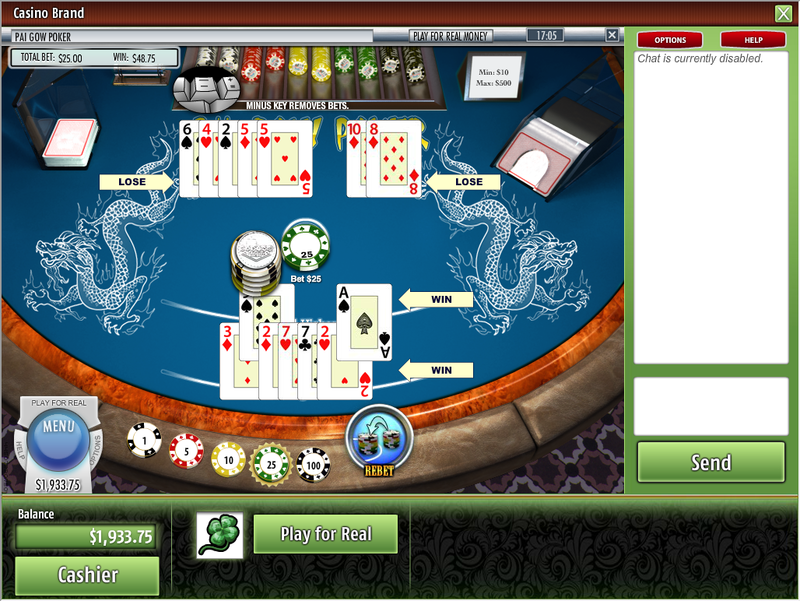 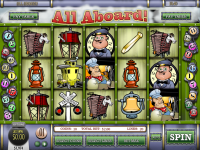 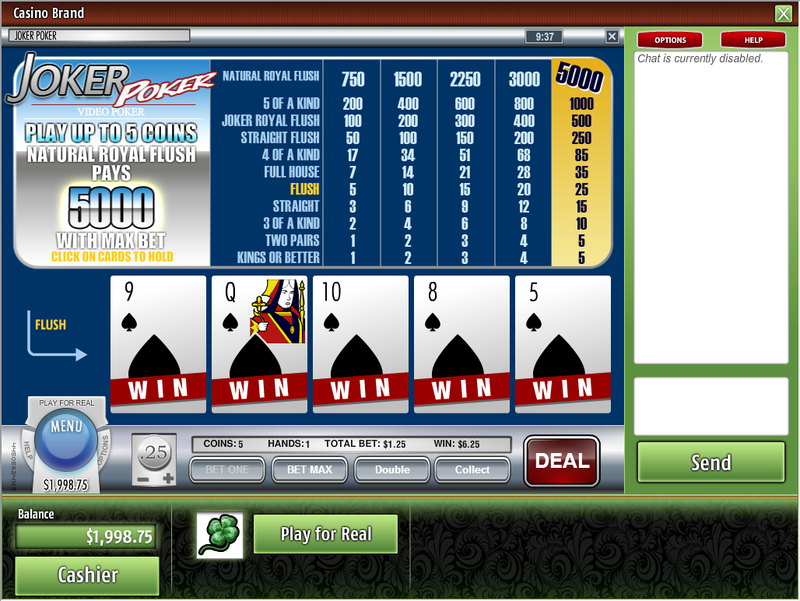 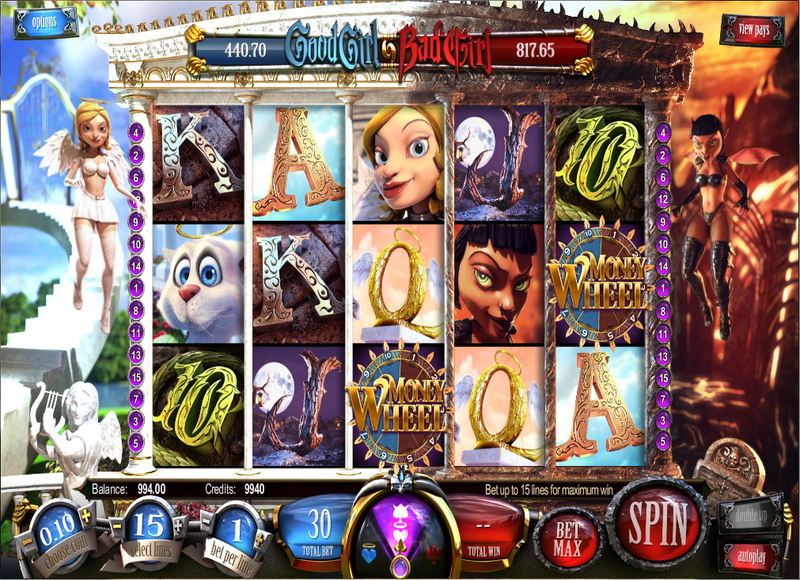 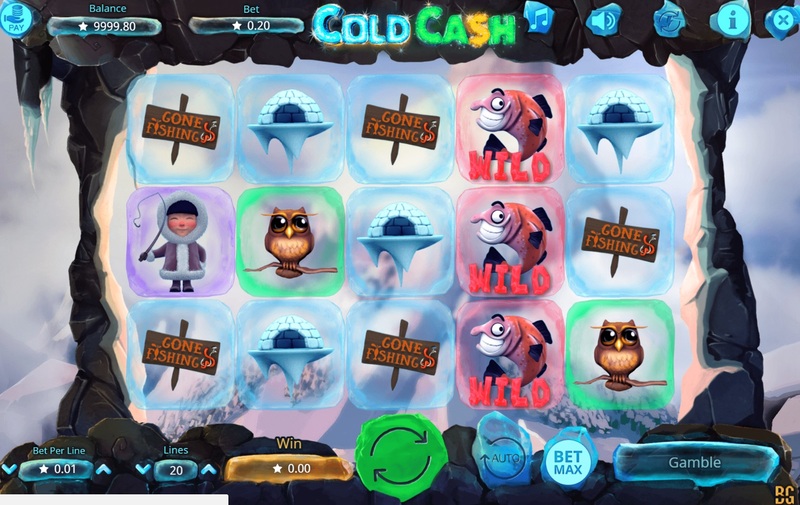 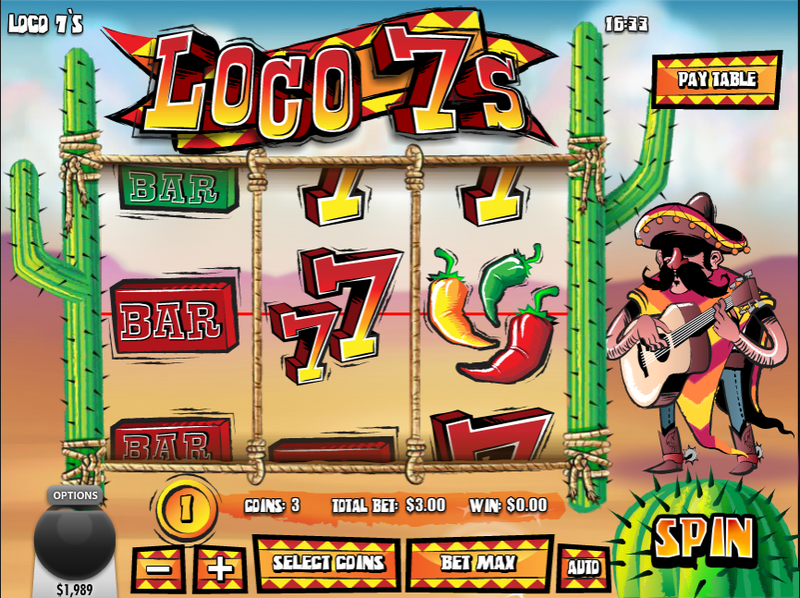 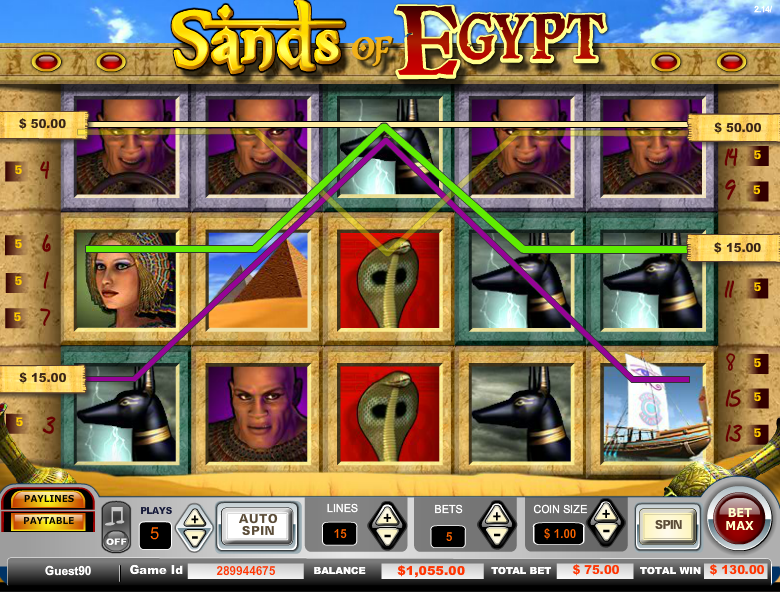 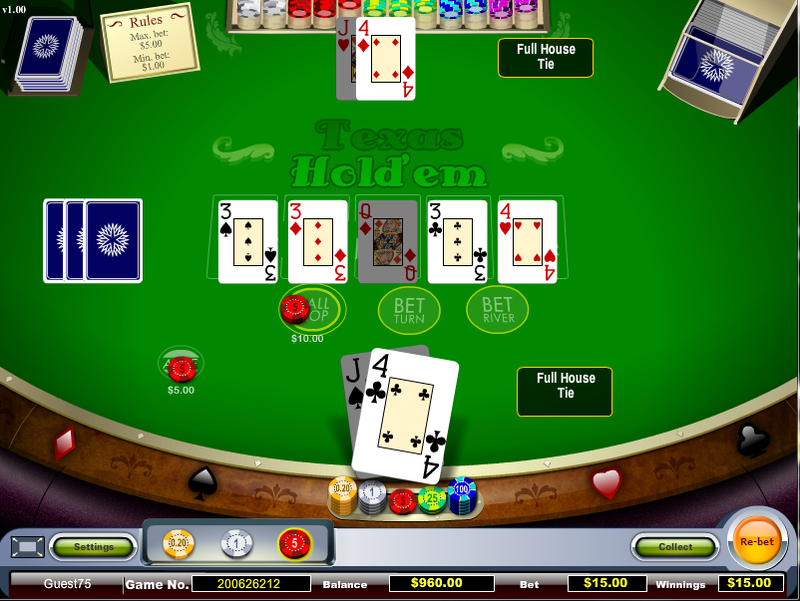 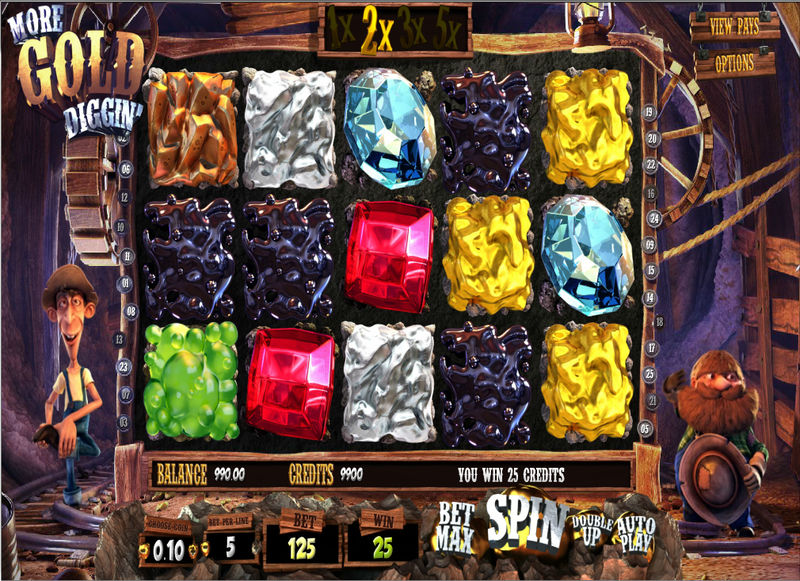 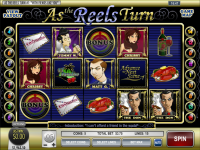 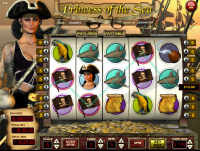 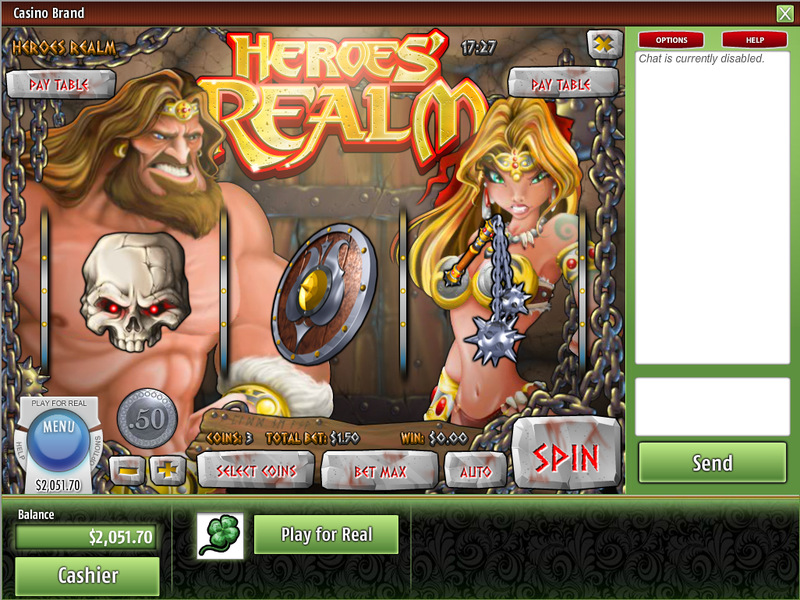 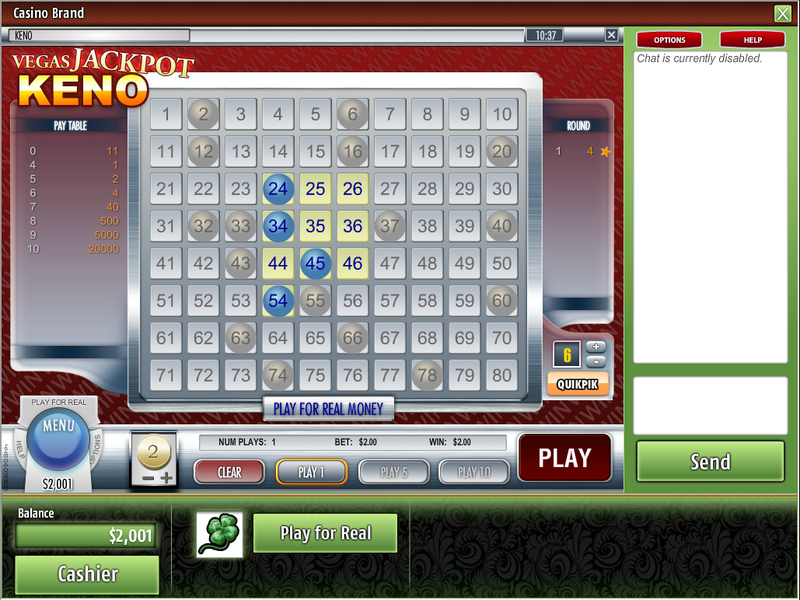 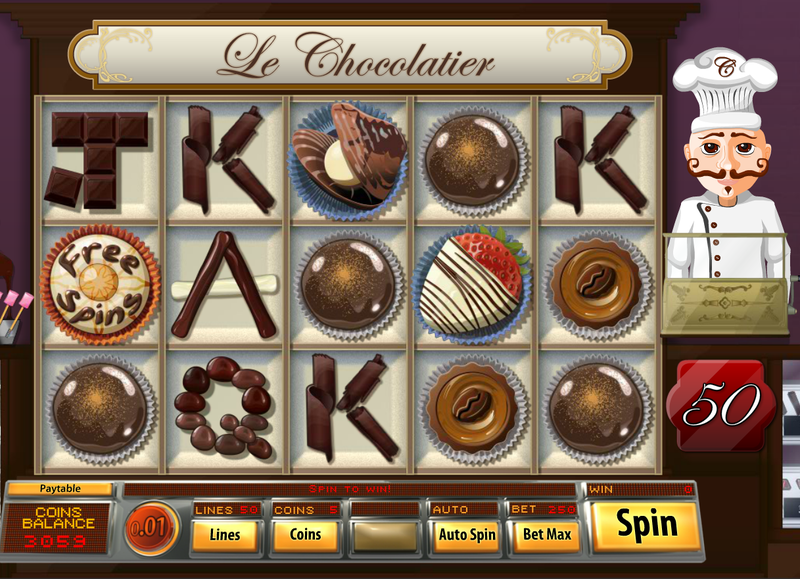 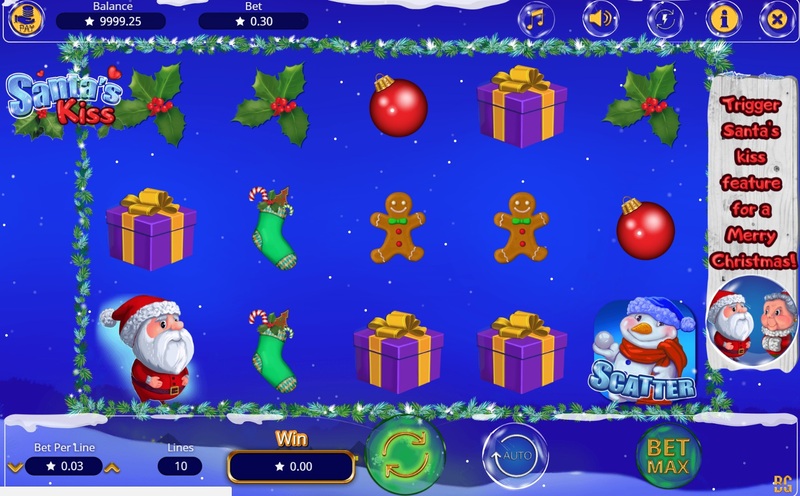 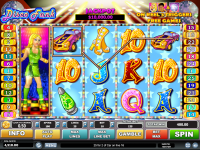 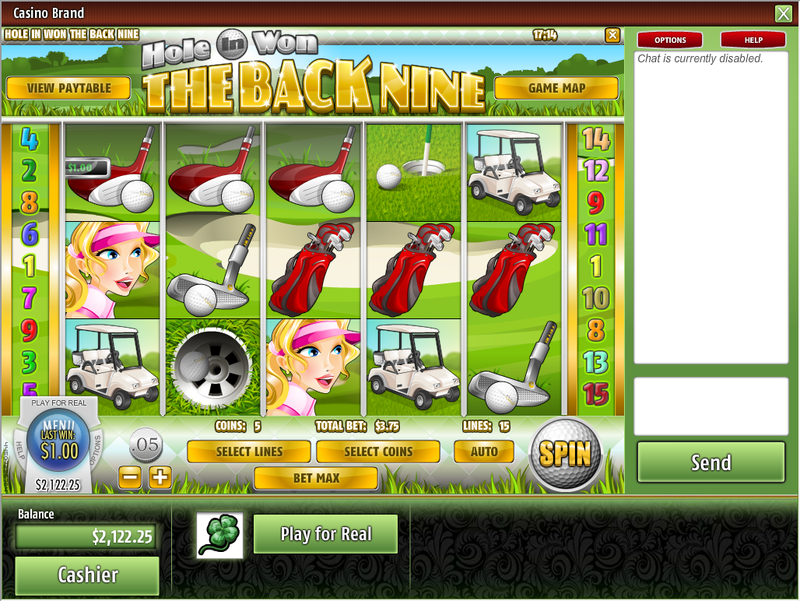 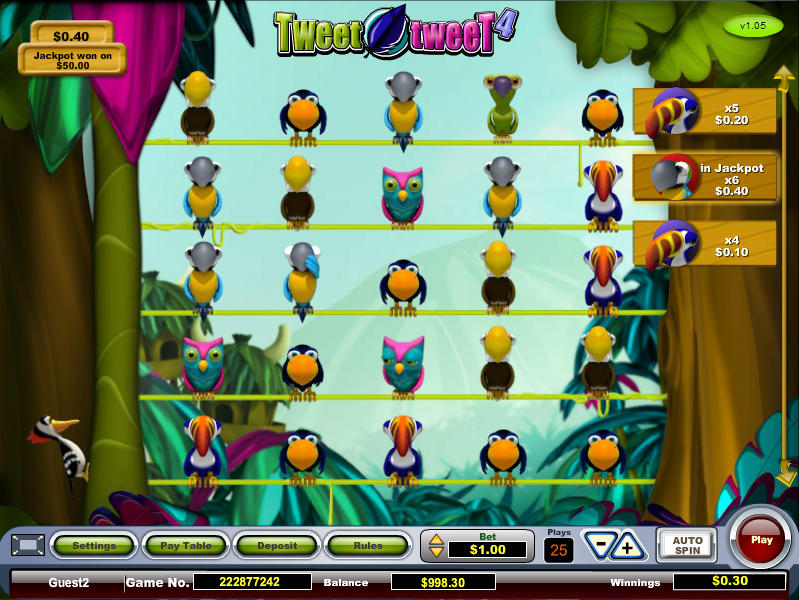 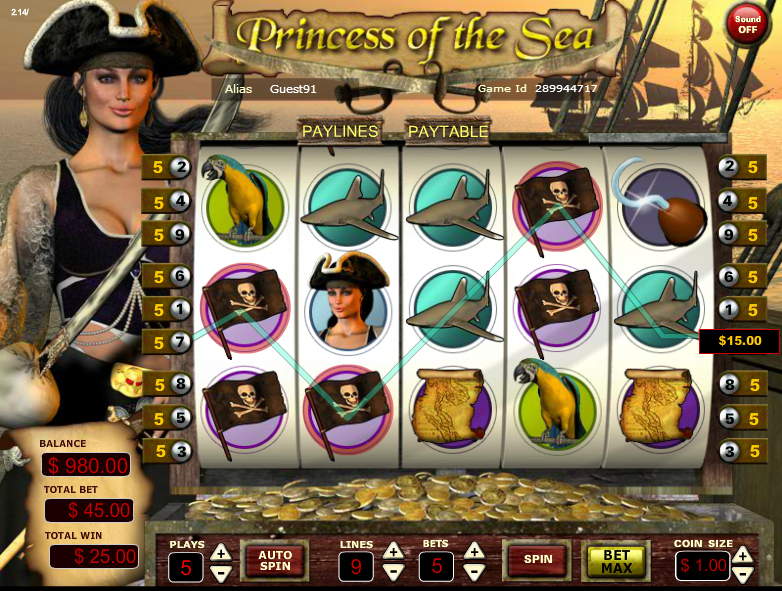 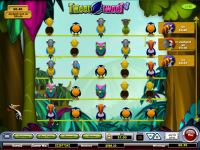 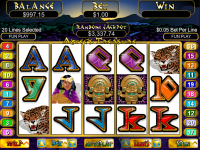 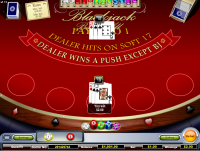 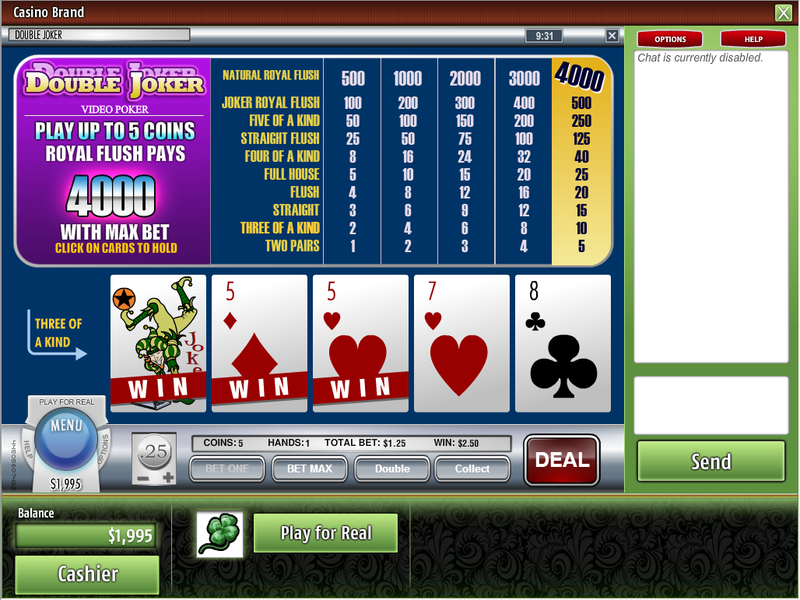 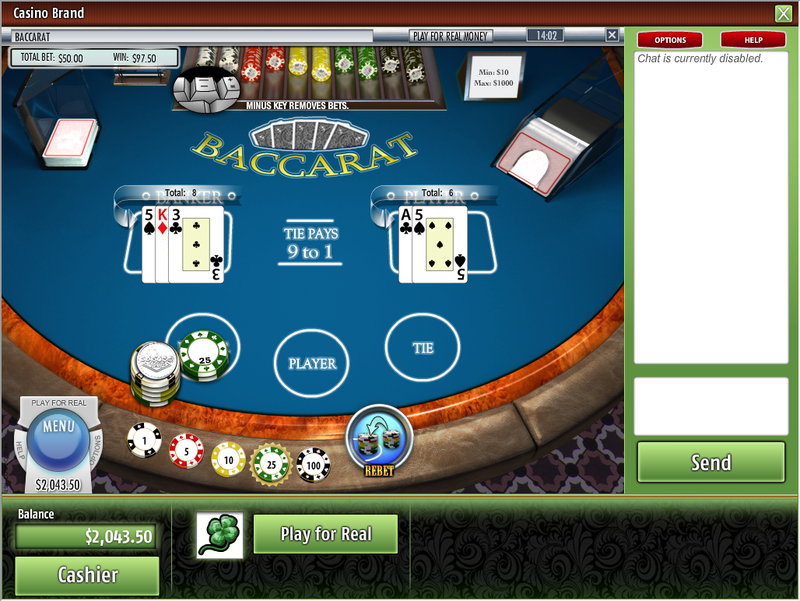 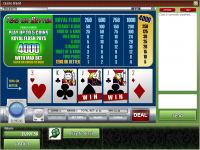 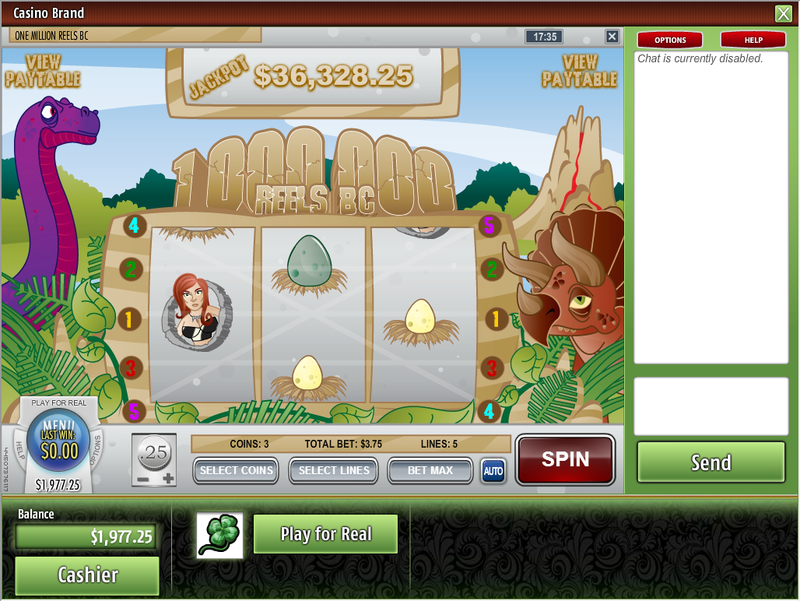 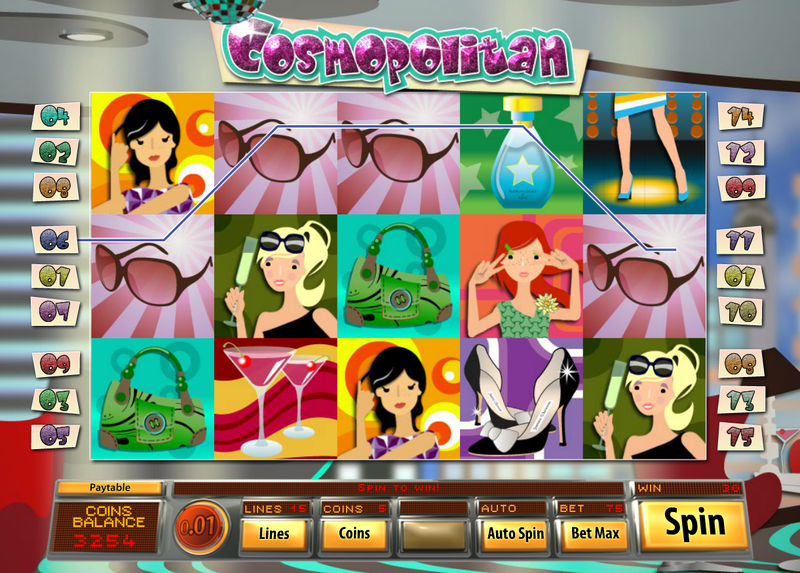 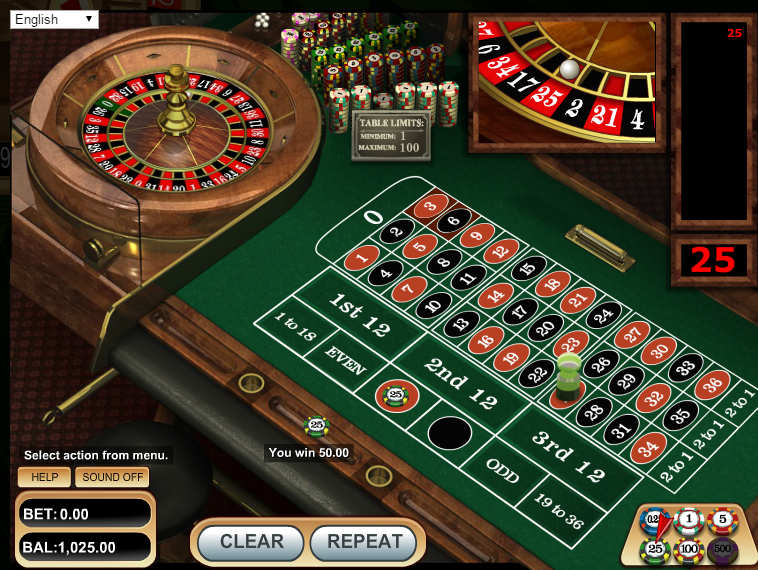 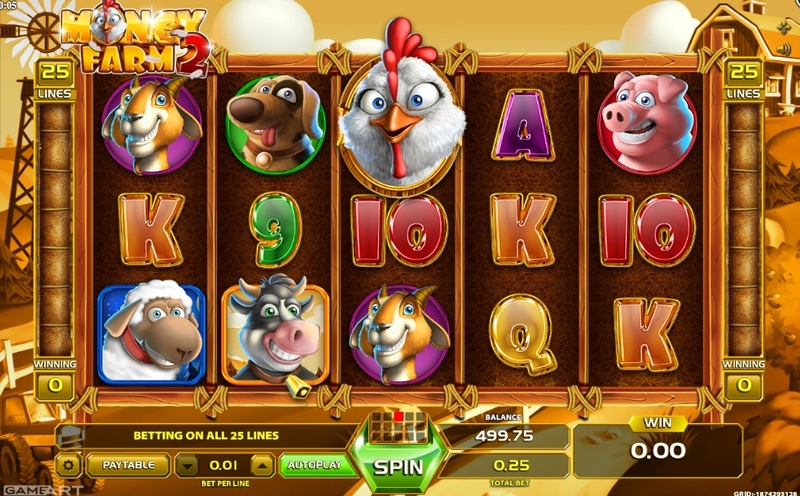 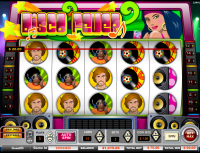 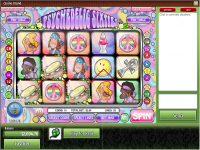 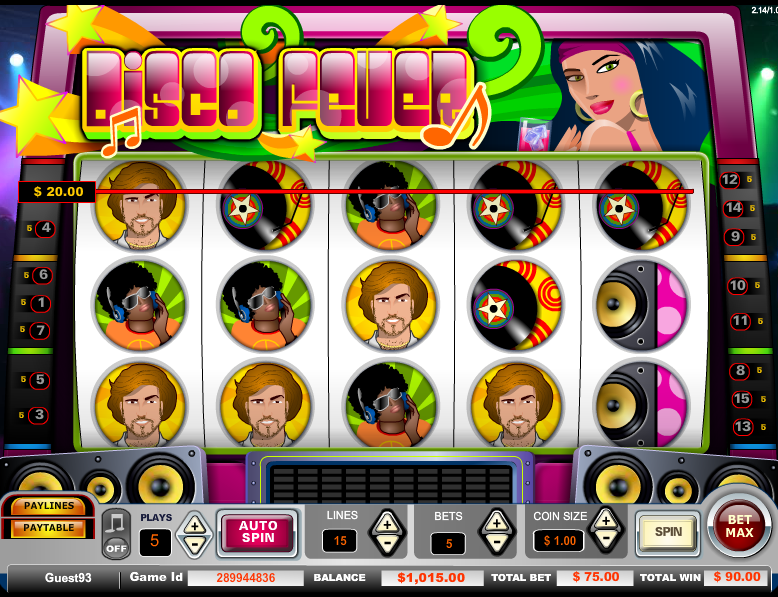 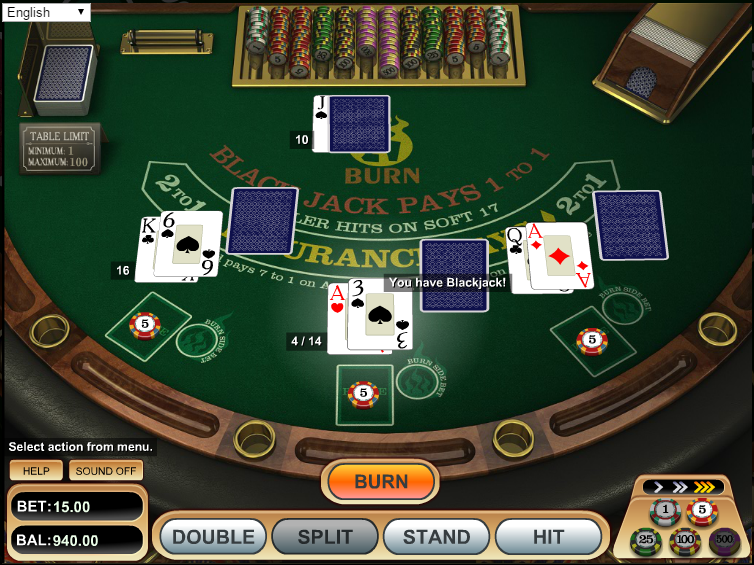 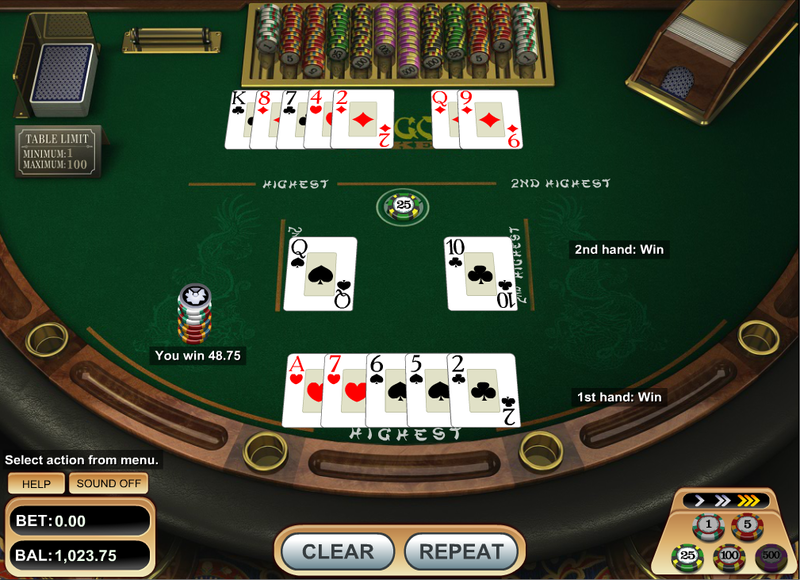 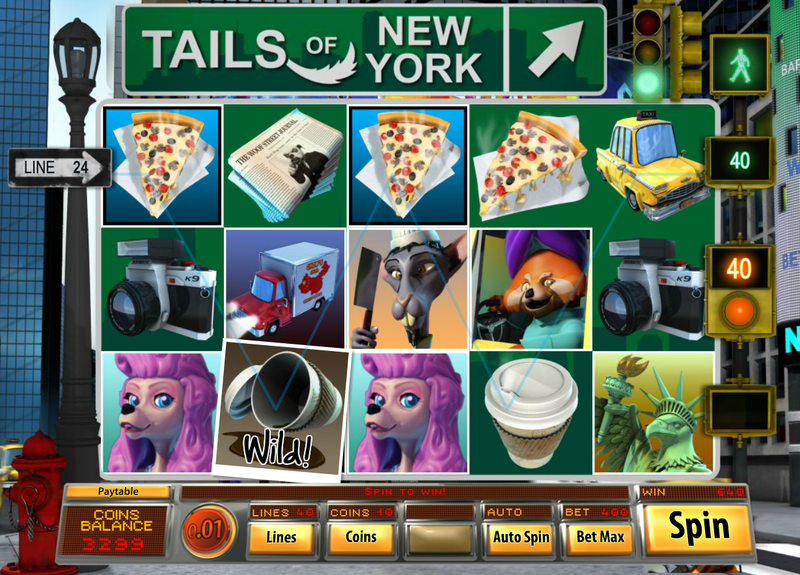 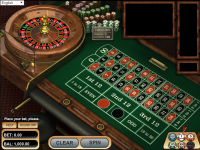 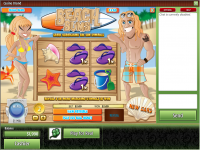 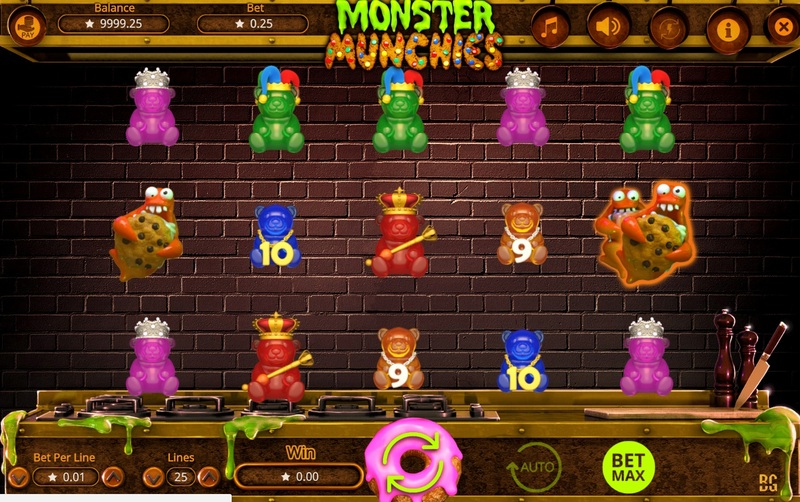 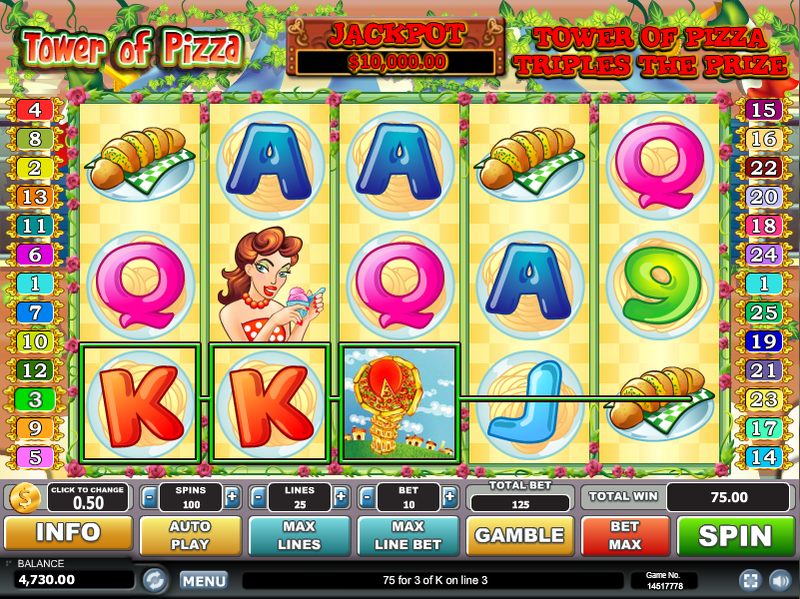 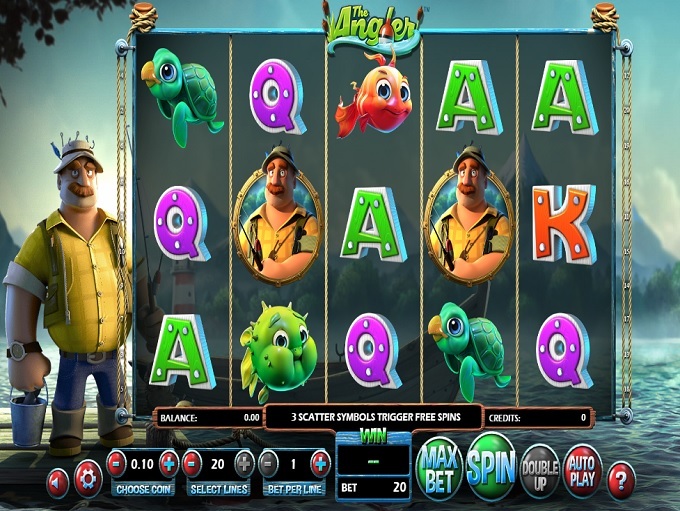 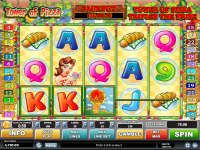 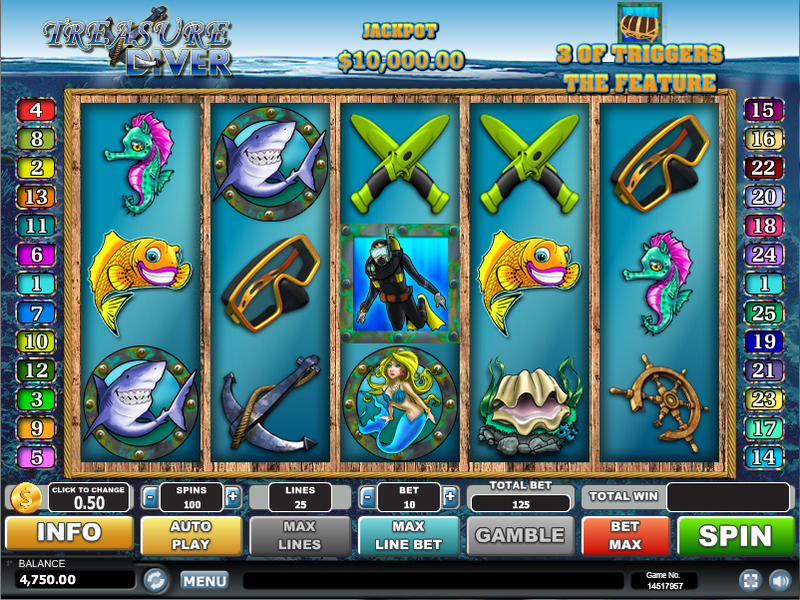 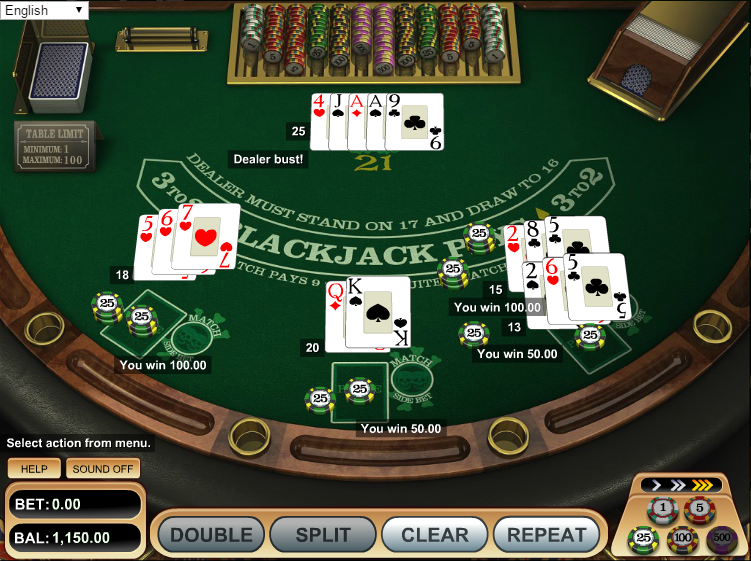 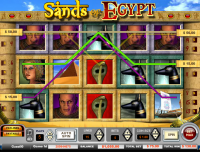 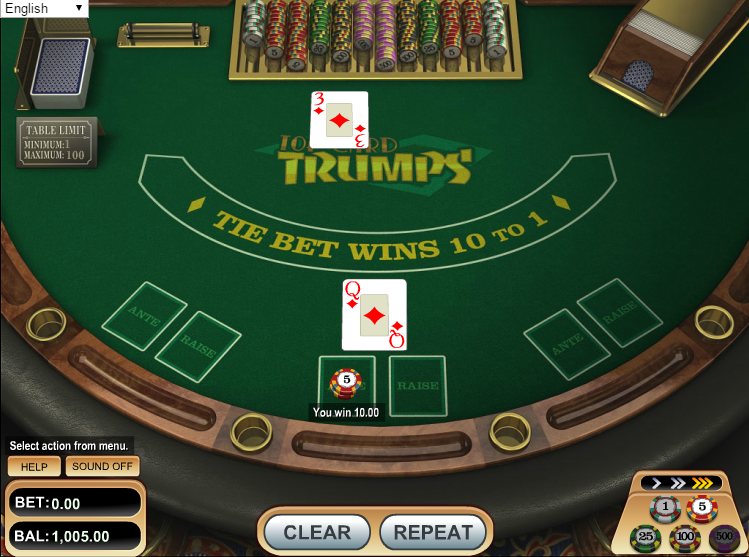 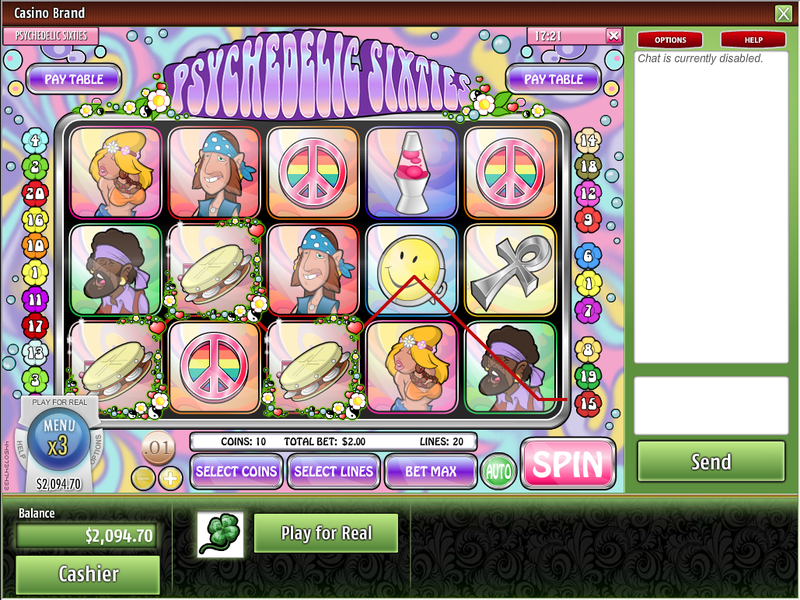 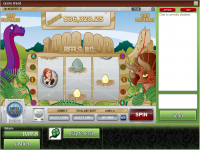 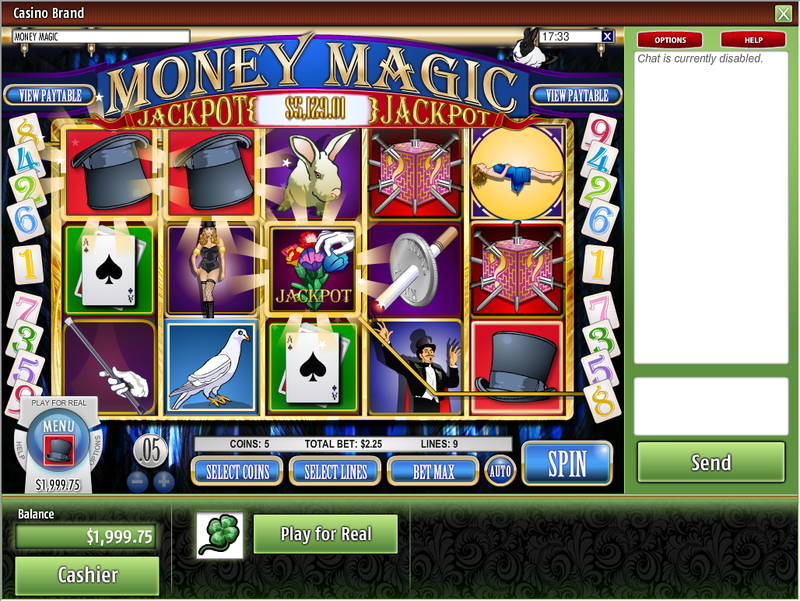 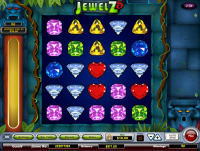 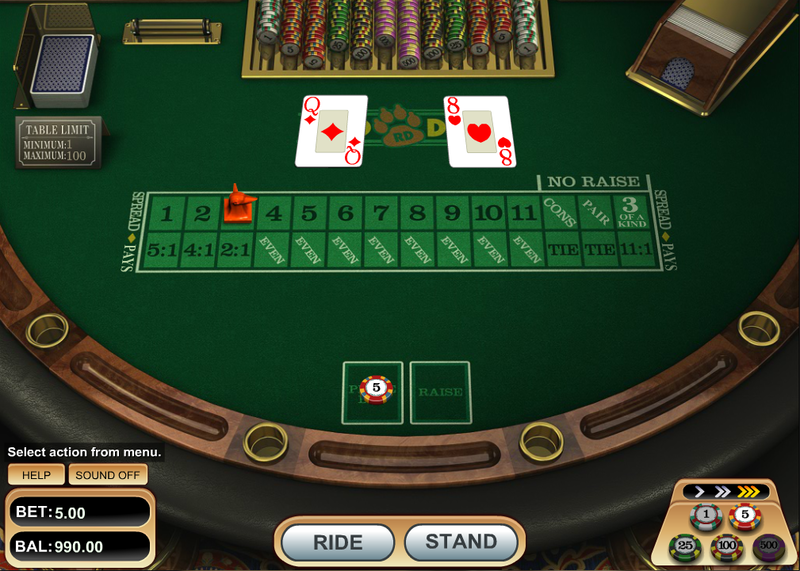 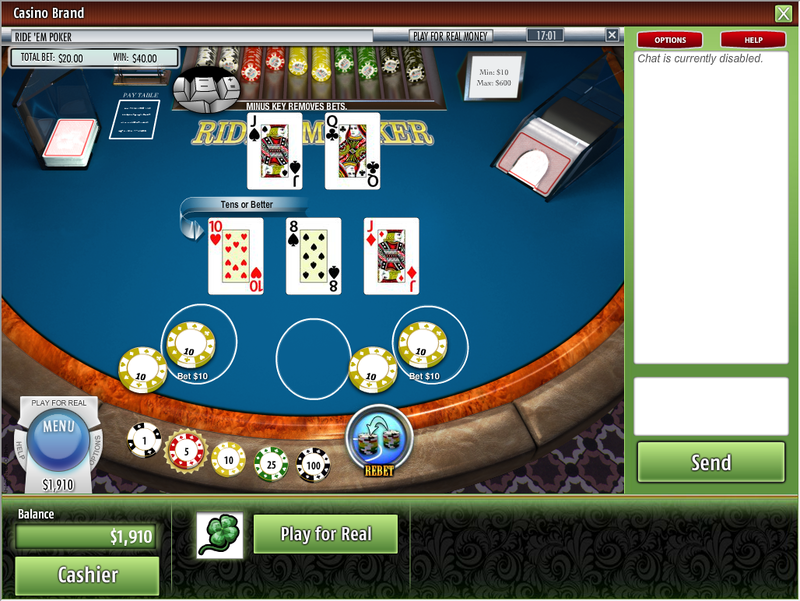 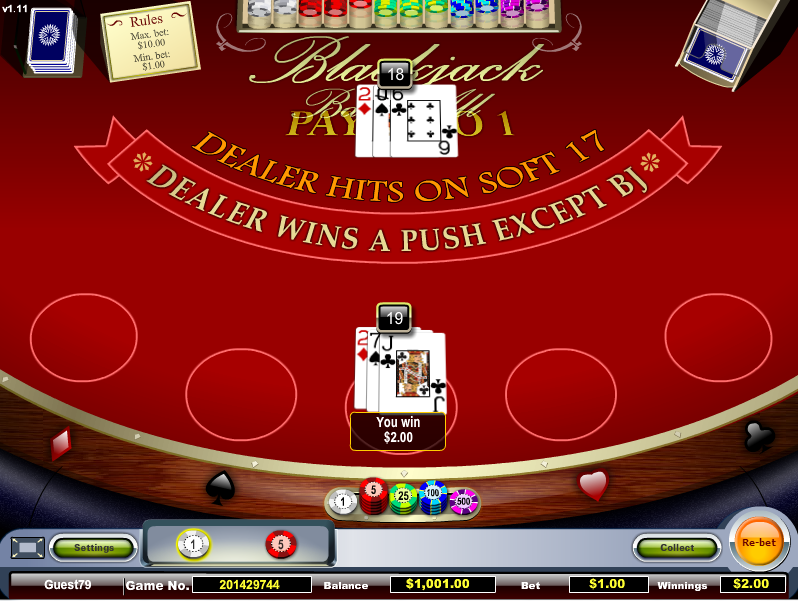 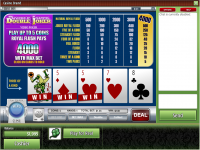 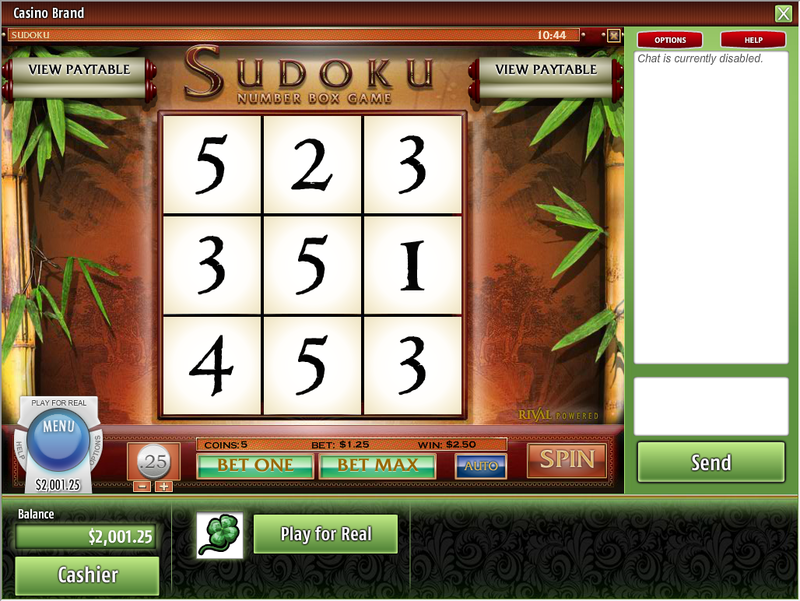 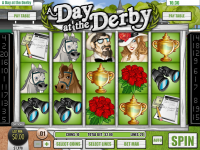 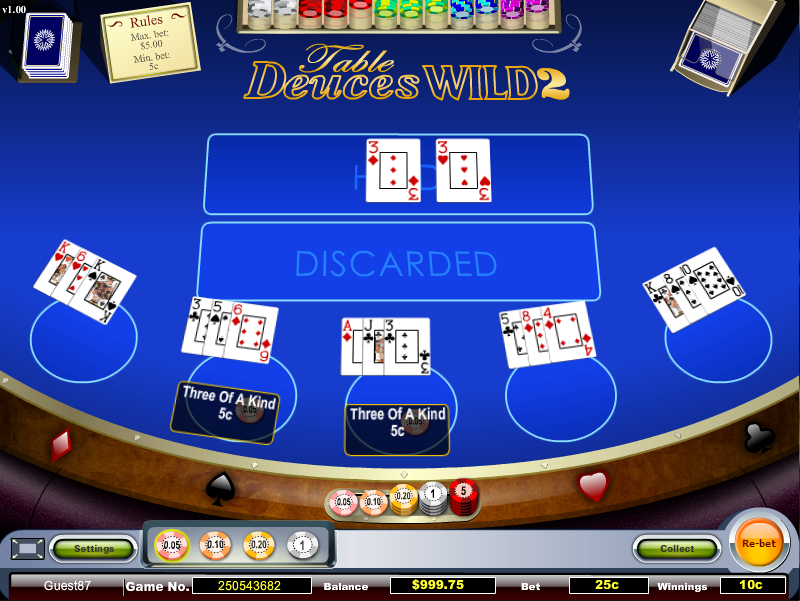 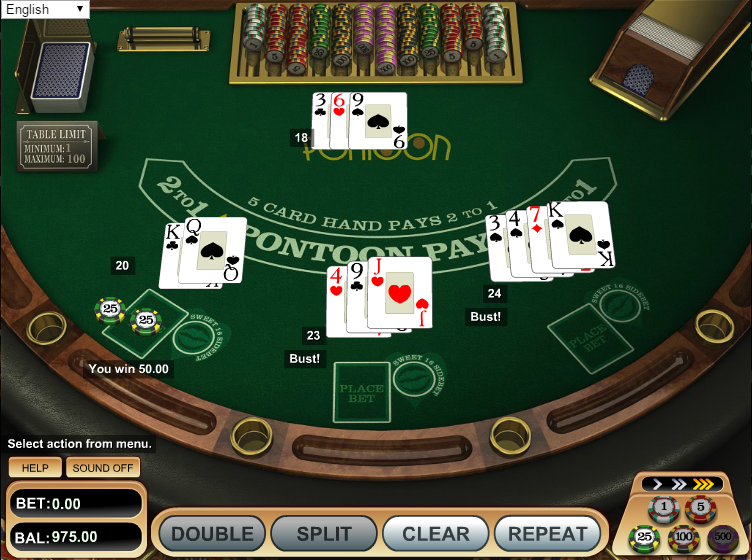 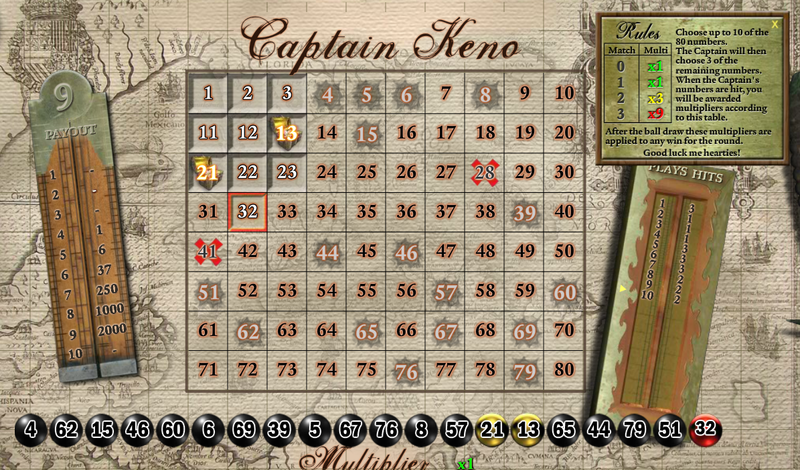 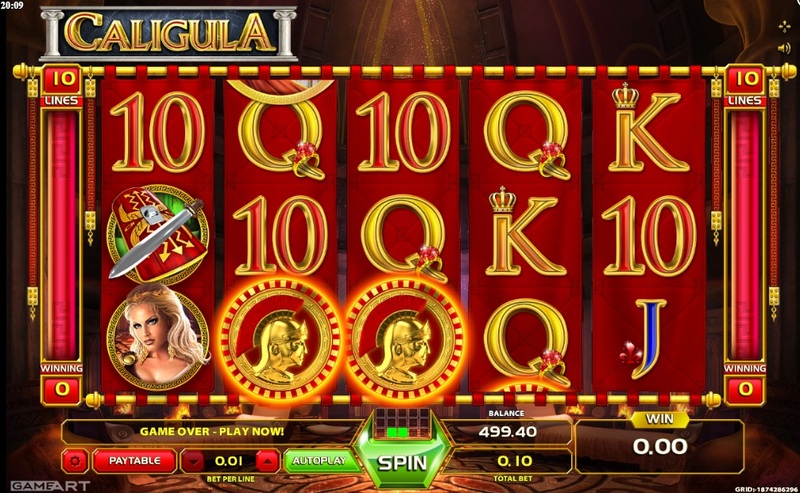 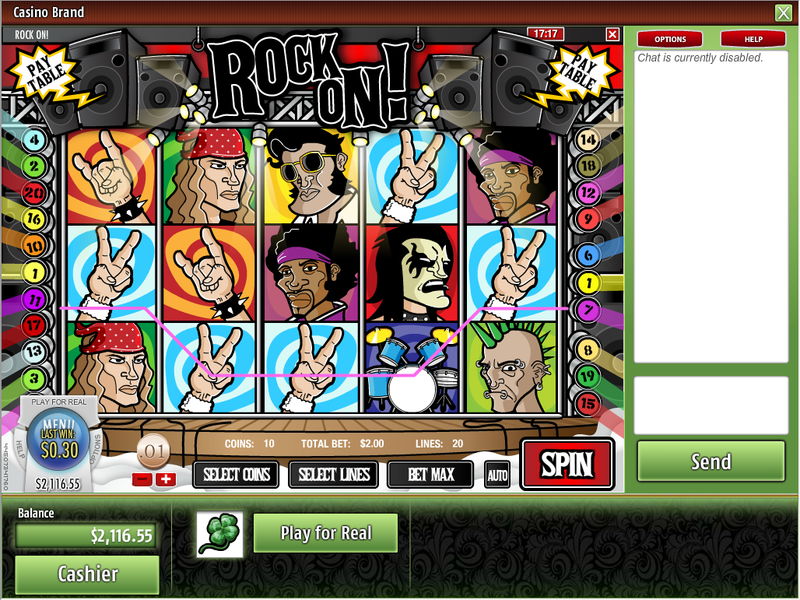 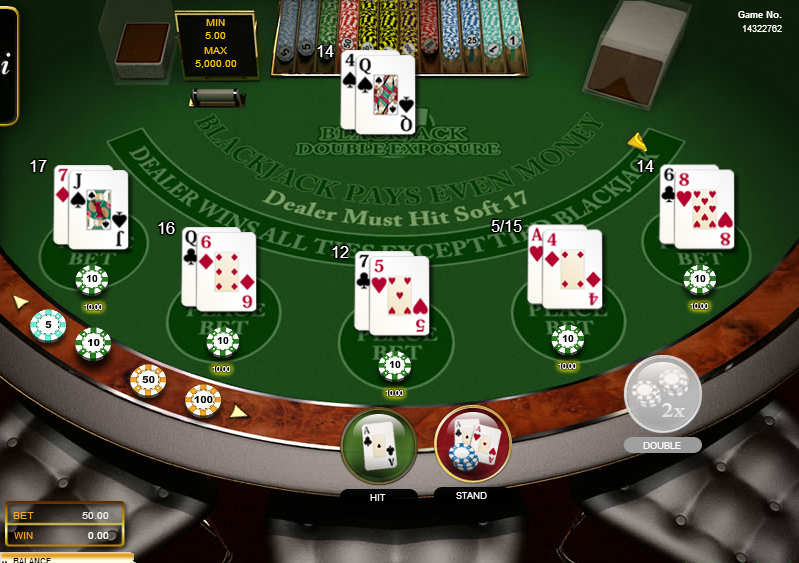 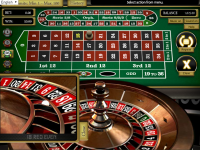 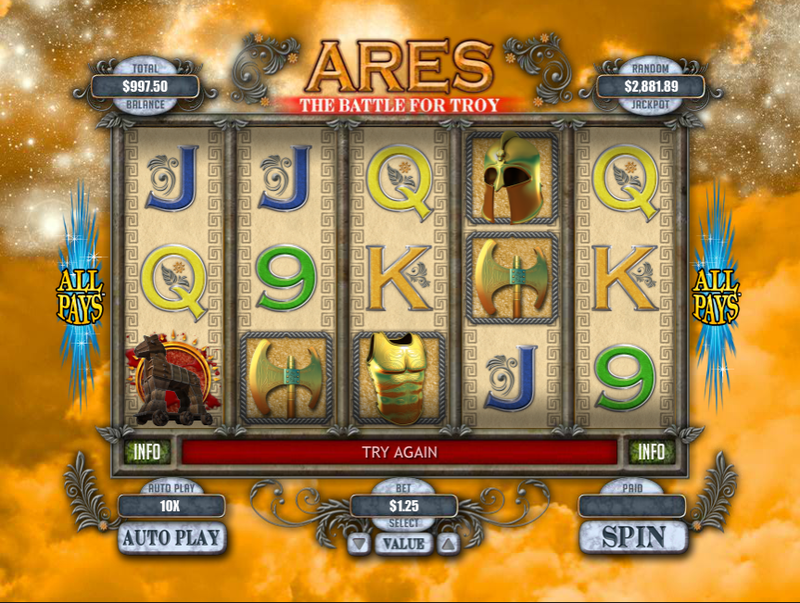 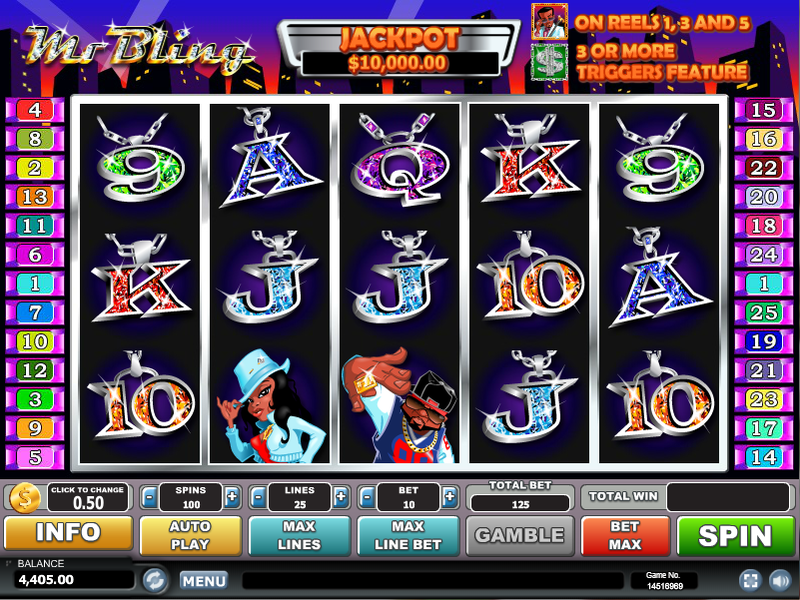 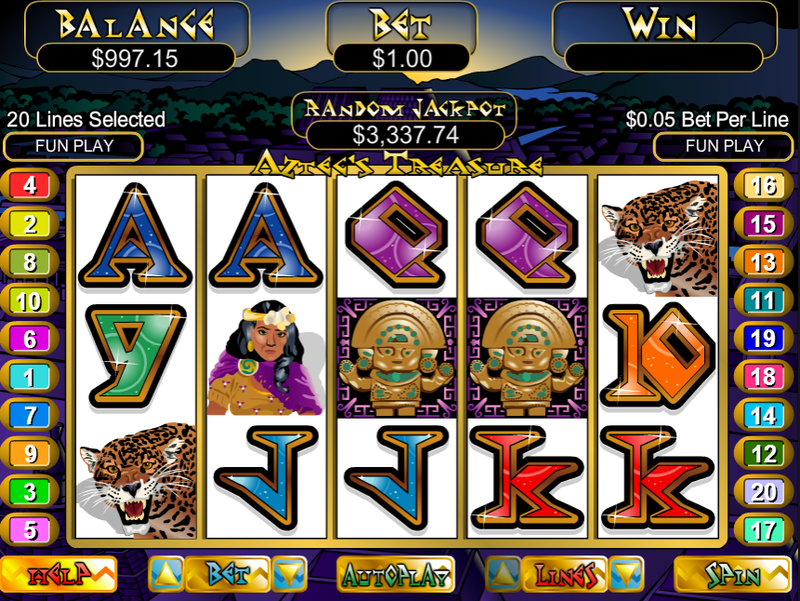 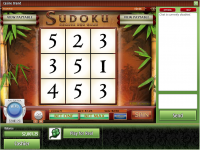 Games include both classic and modern games, and punters will find the slots to be rich in graphics and deep in features. 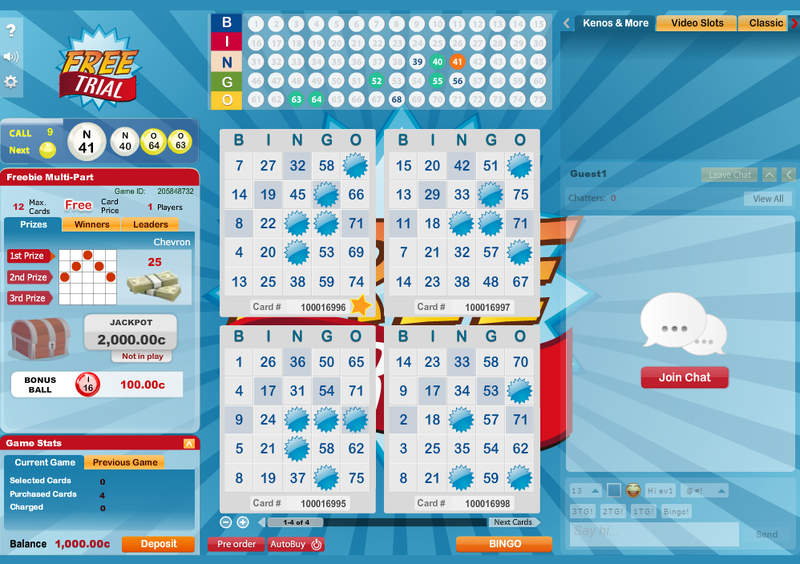 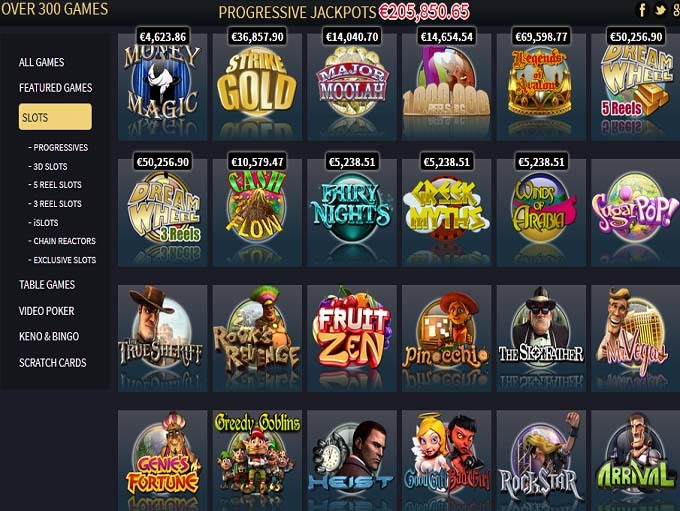 There are also a handful of slots that contain progressive jackpots with huge prizes that can be won at any given moment. 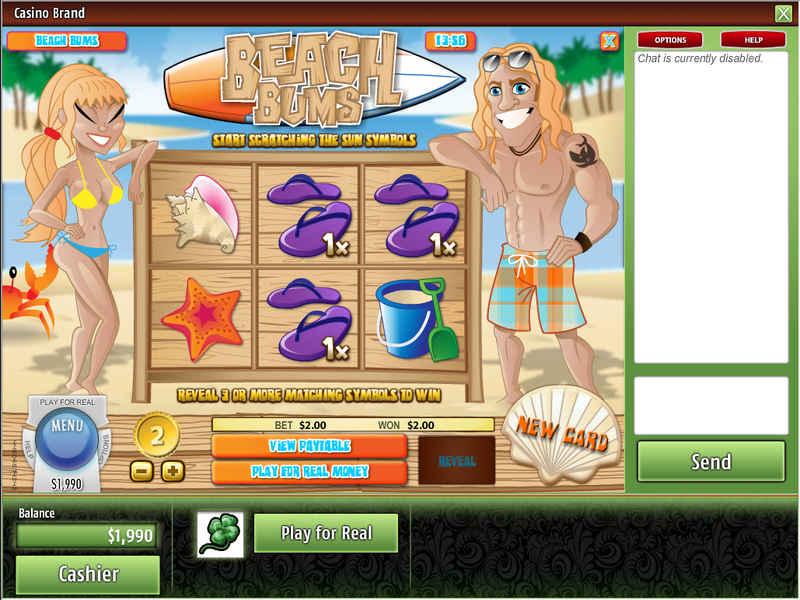 Vegas Crest Casino awards comps to players through their loyalty program. 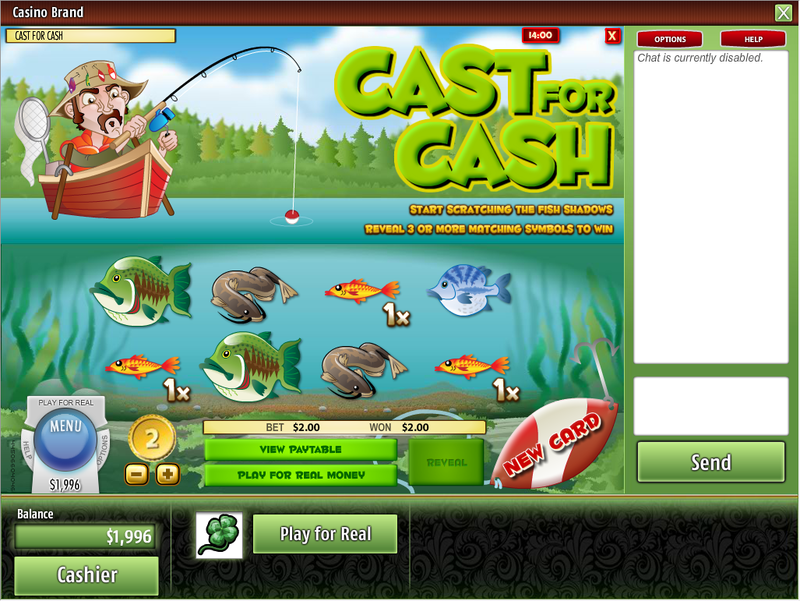 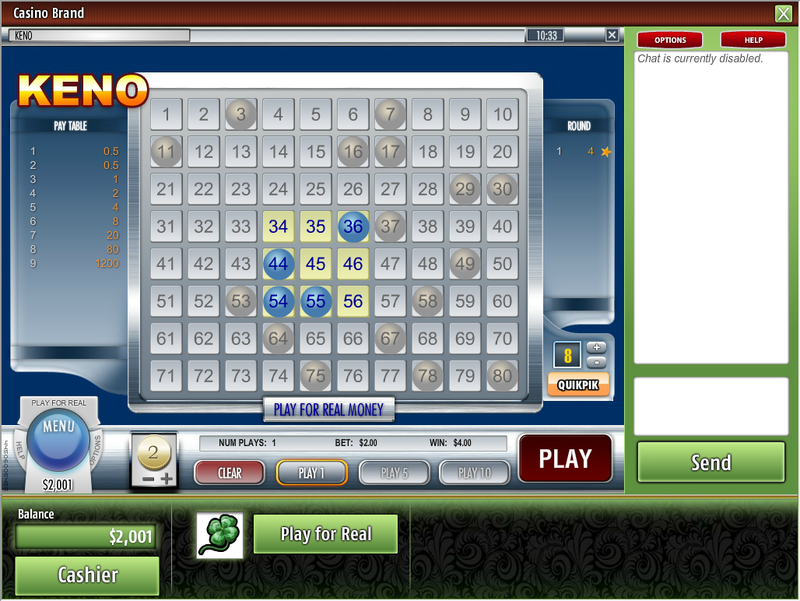 In this casino, players earn $1 cash for every $500 wagered on Slots, Keno, Bingo, and Scratch Card games. 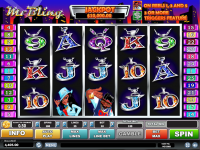 Players can also earn $1 cash for every $1,000 wagered on Table Games and Video Poker. 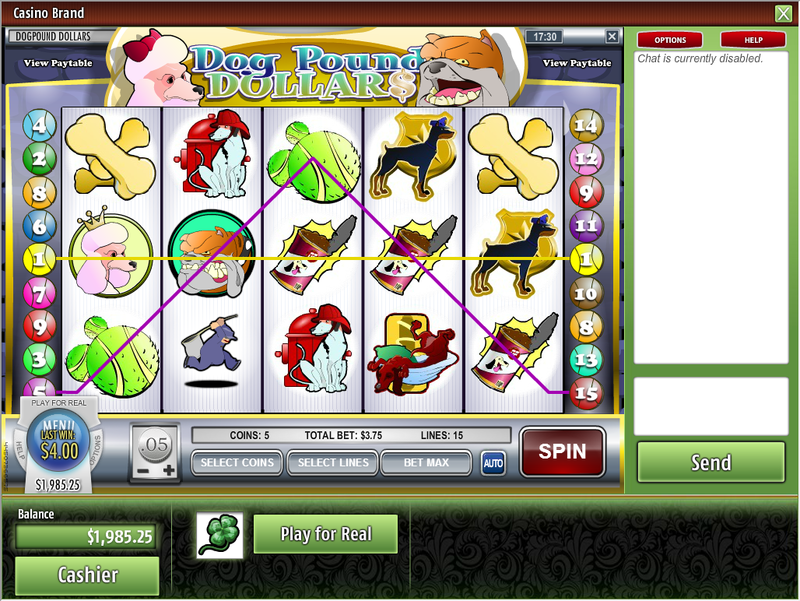 Mission146 at the Wizard of Vegas recently analyzed promotions offered at Vegas Crest Casino. 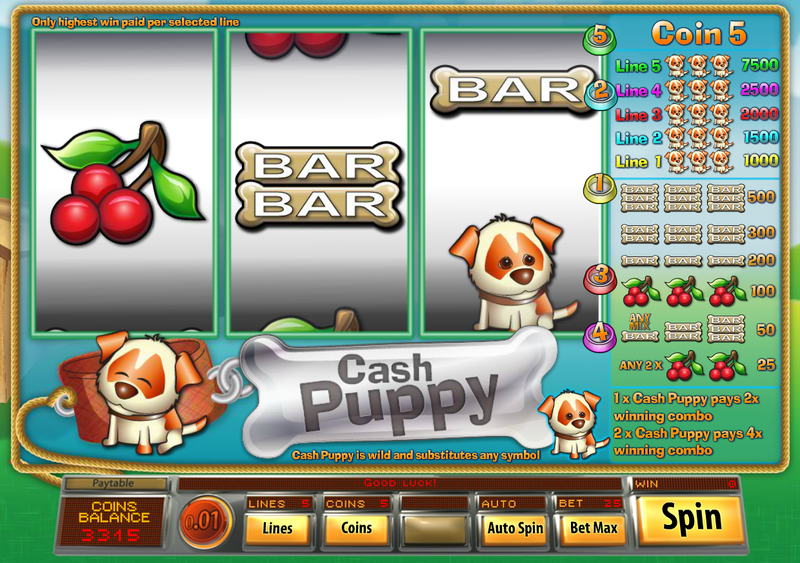 Below is a list of promotions currently being offered at Vegas Crest Casino. 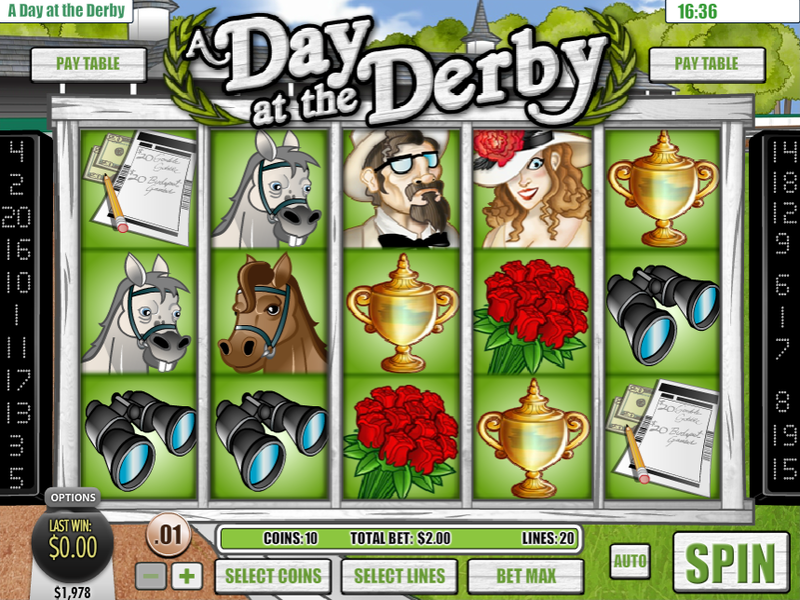 A 300% 2nd Deposit bonus with a max bonus of $1500 and a wagering requirement of 30x on Slots. 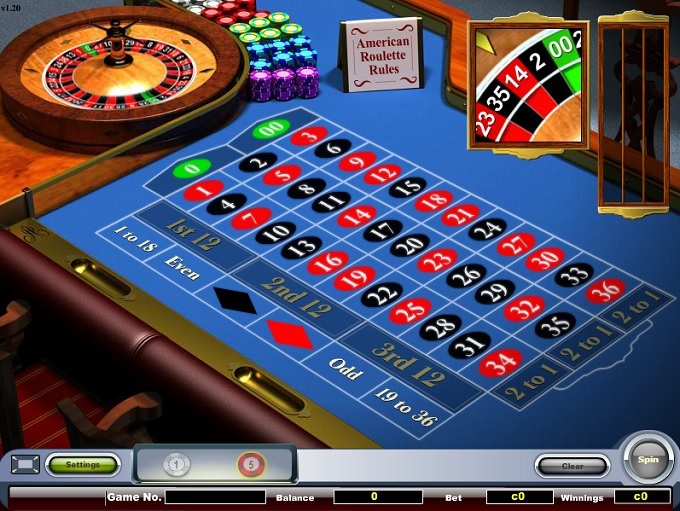 10% for Other Blackjack, Video Poker, Baccarat and American Roulette. 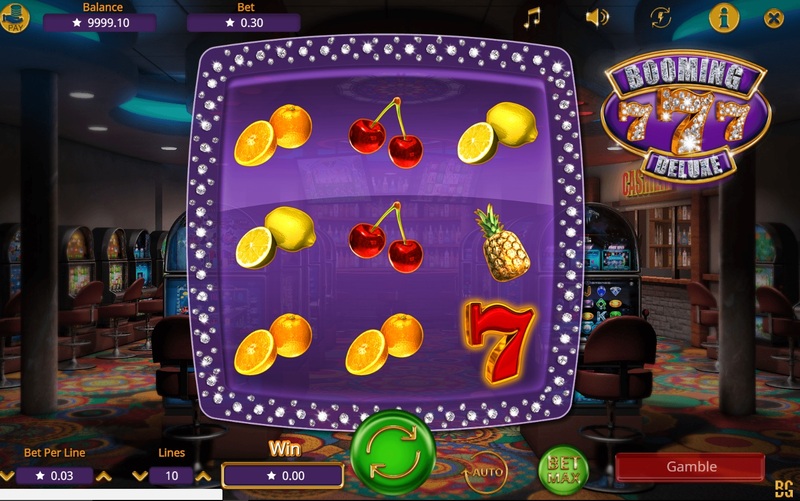 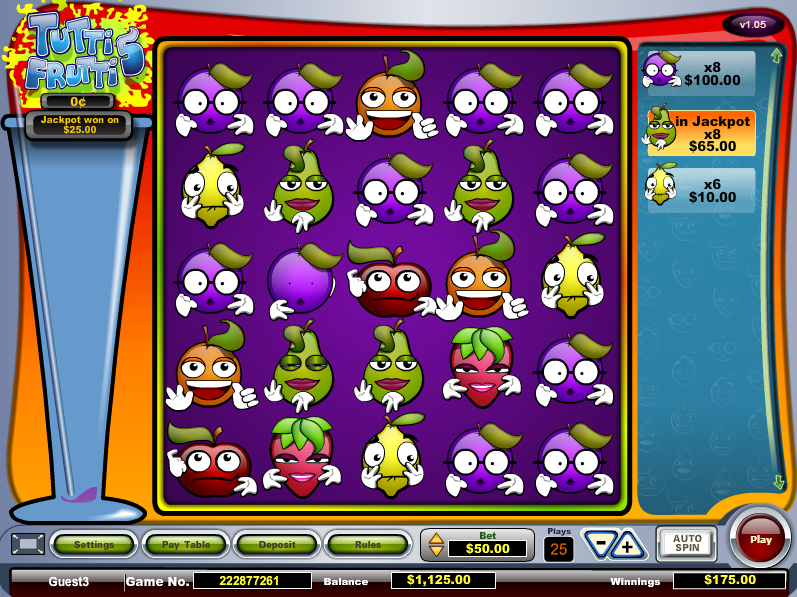 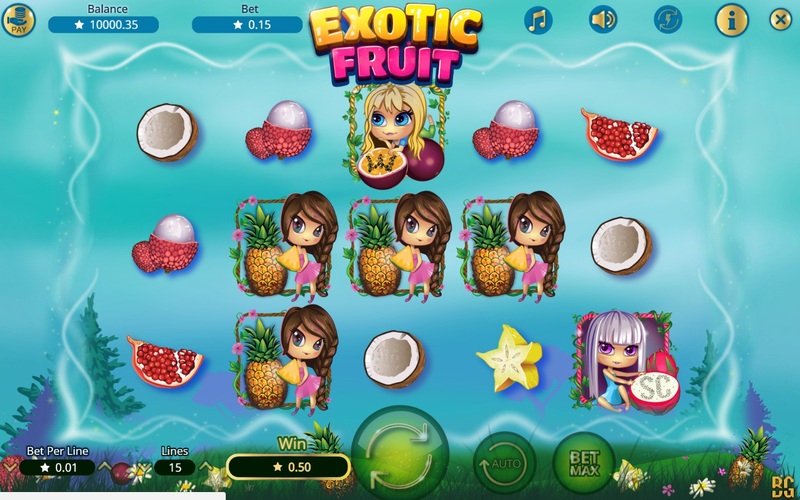 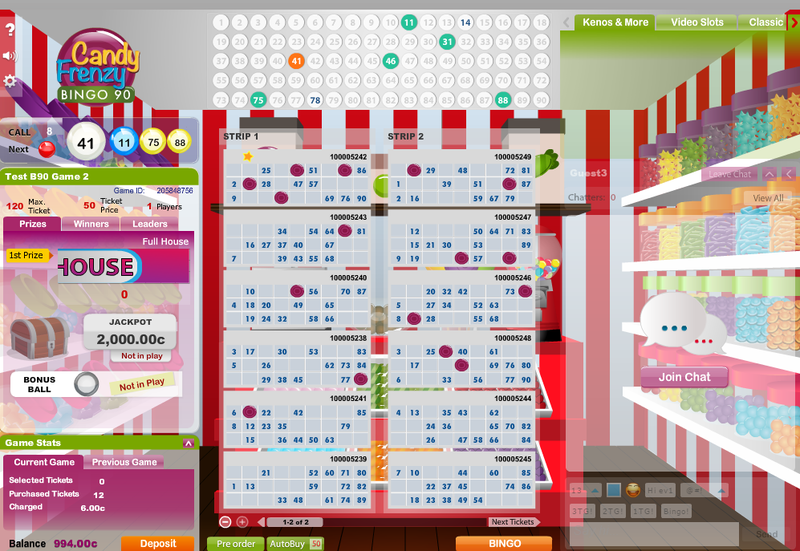 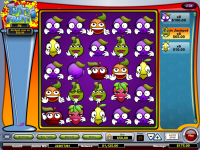 Note: PLUS 60 Free Spins to play on Fruit Zen Machine. 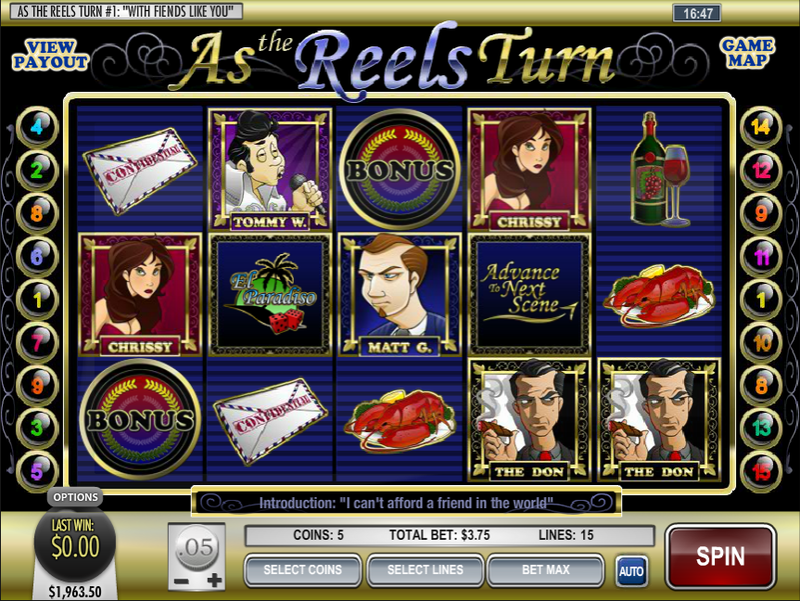 Bonus can be used on all games but percentage play-through varies by game. 100% for Slots, Bingo, Keno, Scratch Cards, Chain Reactors, Predictor; 25% for Red Dog, Three Card Rummy, Top card Trumps (Casino War), Texas Holdem, Pai Gow , Caribbean, Ride'em & Five Card Poker; 10% for Blackjack, Video Poker, Baccarat, American Roulette and all other games. 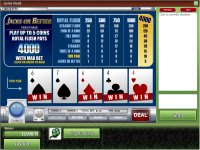 A 200% Sign Up bonus with a max bonus of $1000 and a wagering requirement of 30x on Slots. 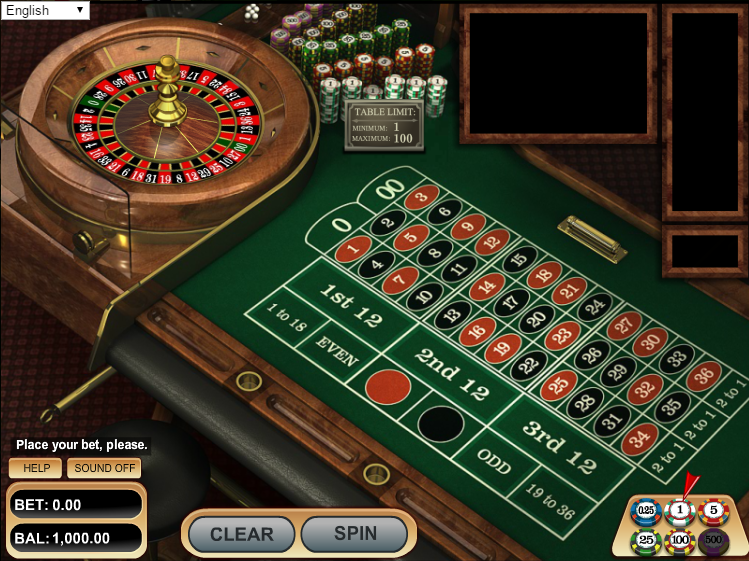 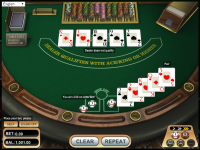 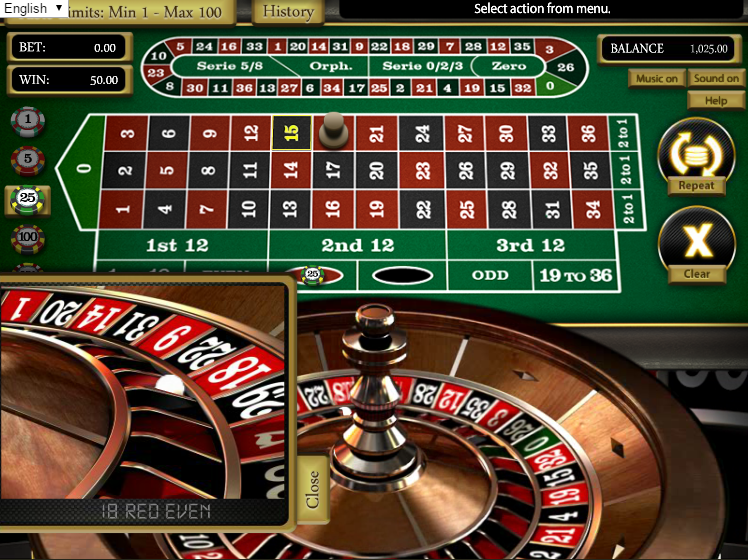 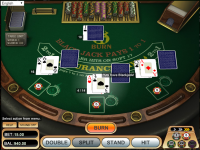 50% for Classic Blackjack and Other Roulette. 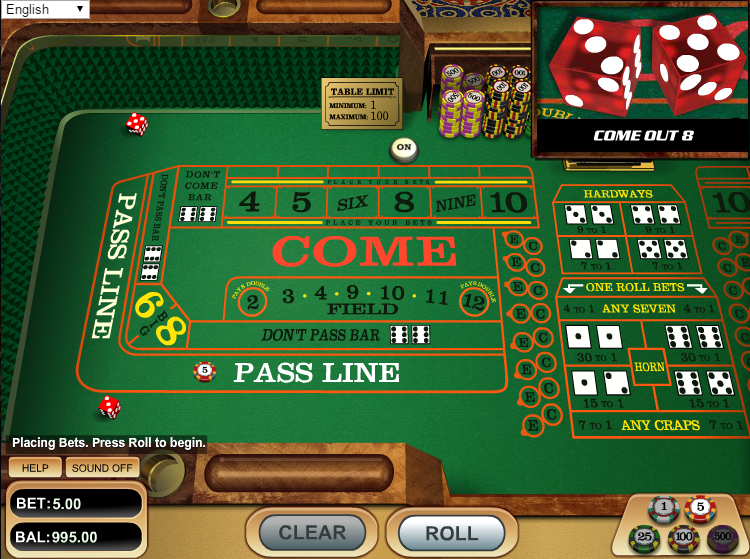 10% for Other Blackjack, Video Poker, Craps, Baccarat and American Roulette. 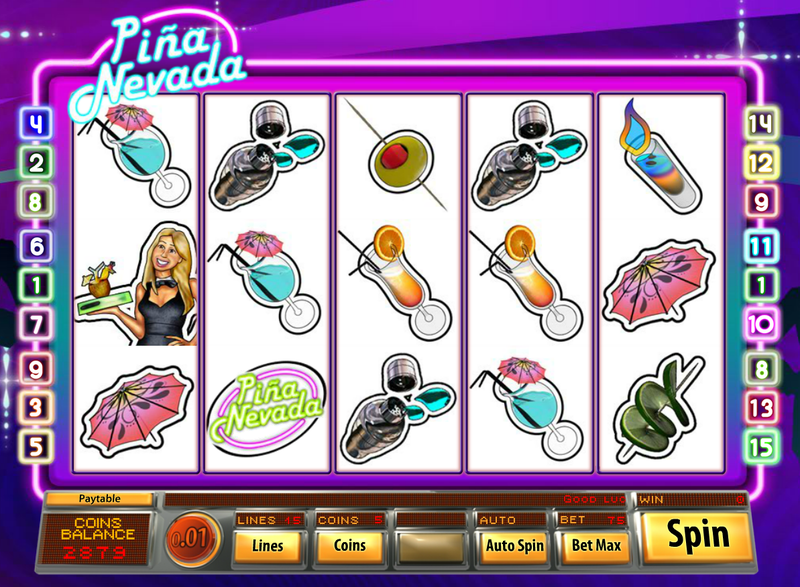 Note: Start with 10 Free Spins on The Tipsy Tourist slot. 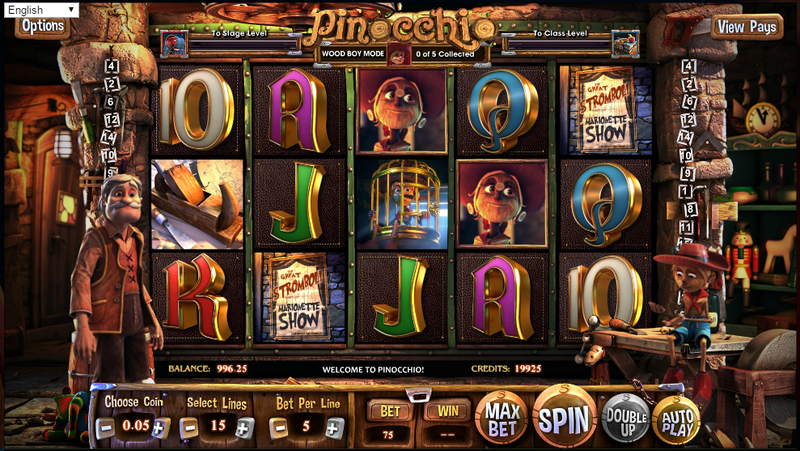 PLUS 30 Free Spins on Pinocchio. 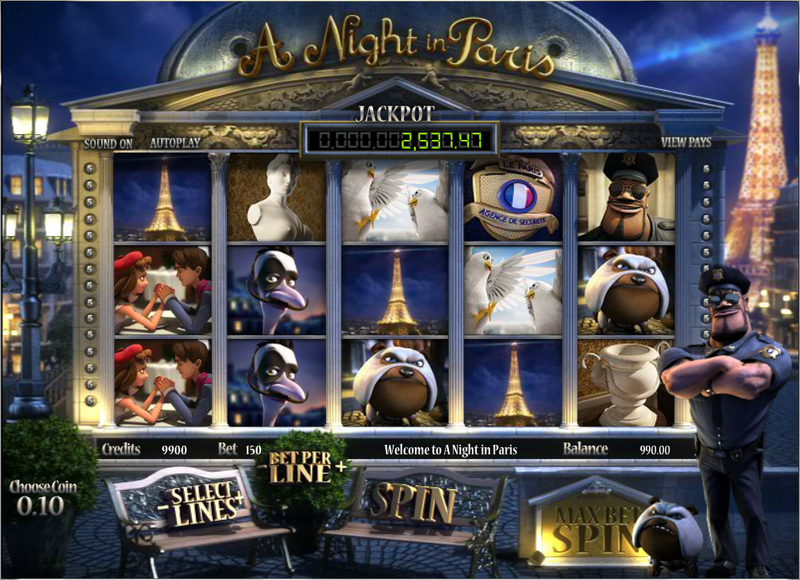 Bonus can be used on all games but percentage play-through varies by game. 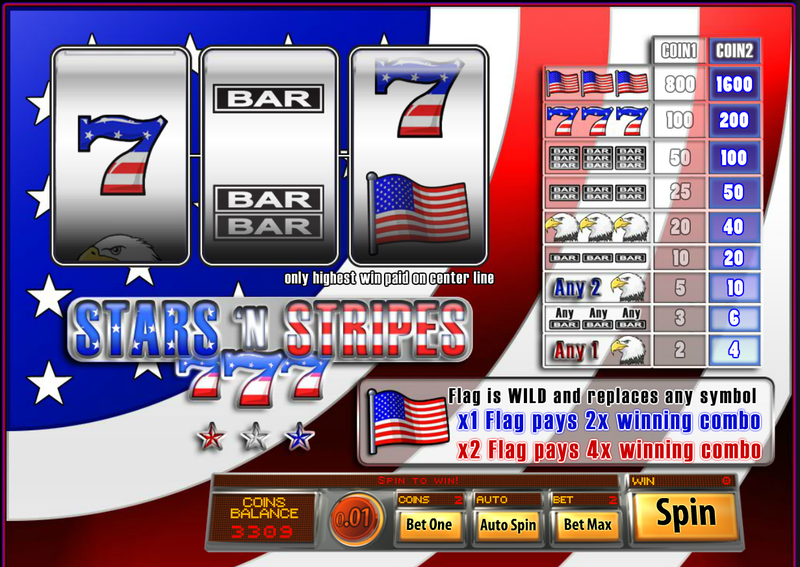 100% for Slots, Bingo, Keno, Scratch Cards, Chain Reactors, Predictor; 25% for Red Dog, Three Card Rummy, Top card Trumps (Casino War), Texas Holdem, Pai Gow , Caribbean, Ride'em & Five Card Poker; 10% for Blackjack, Video Poker, Baccarat, American Roulette and all other games. 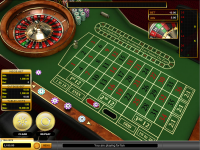 Vegas Crest Casino is licensed to conduct gaming operations through the jurisdictions of Curacao. 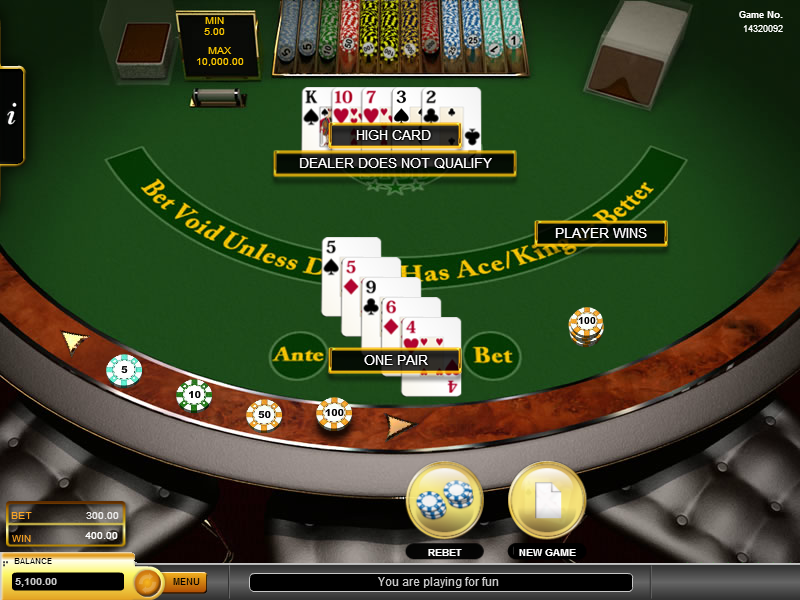 Vegas Crest Casino does not accept players from the following countries: Afghanistan, Albania, Armenia, Azerbaijan, Bosnia And Herzegovina, Bangladesh, Bulgaria, Bhutan, Belarus, China, Cyprus, Czech Republic, Algeria, Estonia, Georgia, Ghana, Hong Kong, Croatia, Hungary, Indonesia, Israel, India, Iraq, Iran, Islamic Republic Of, Iceland, Kyrgyzstan, Cambodia, Republic of Korea, Kazakstan, Lao Peoples Democratic Republic, Lebanon, Liberia, Latvia, Libyan Arab Jamahiriya, Moldova, Republic Of, Montenegro, North Macedonia, Malaysia, Niger, Nigeria, Philippines, Poland, Romania, Serbia, Russian Federation, Rwanda, Sudan, Singapore, Slovakia, Somalia, Syrian Arab Republic, Thailand, Tajikistan, Turkmenistan, East Timor, Turkey, Taiwan, Ukraine, Uganda, Uzbekistan, Viet Nam, Yemen, and Zimbabwe. 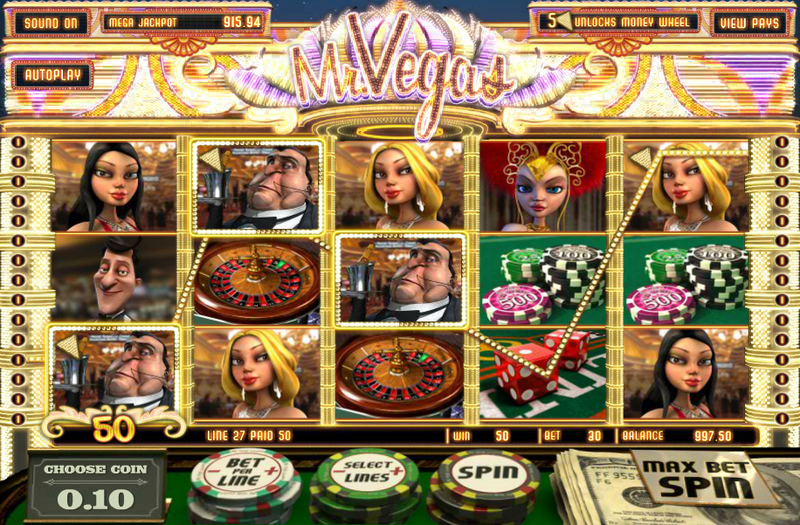 Currently there are no-known player issues pertaining to how Vegas Crest Casino conducts their gaming operations. 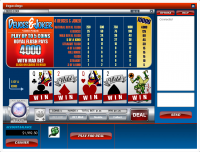 Vegas Crest Casino earns an endorsement from this site for their integrity and customer support. 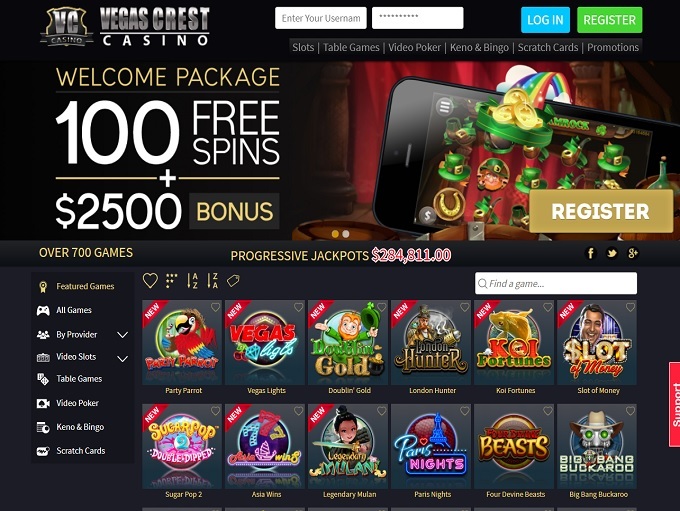 We only endorse the best Internet casinos we personally trust, and are proud to partner with Vegas Crest Casino.